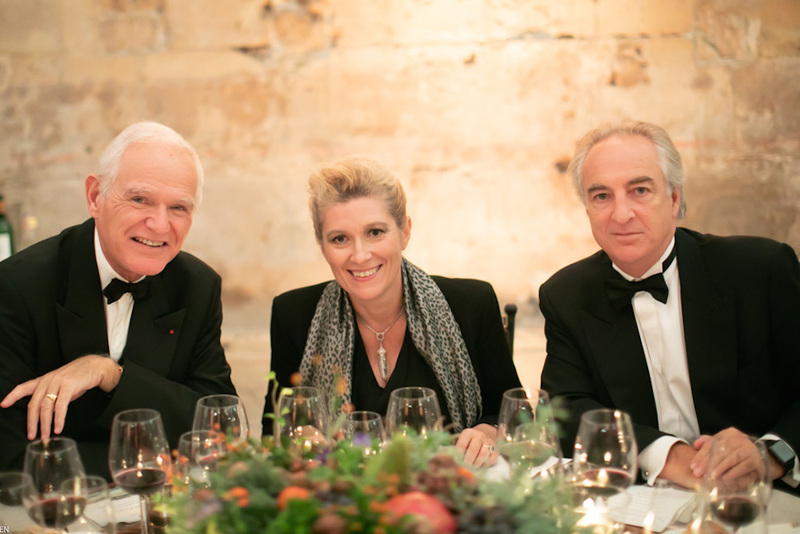 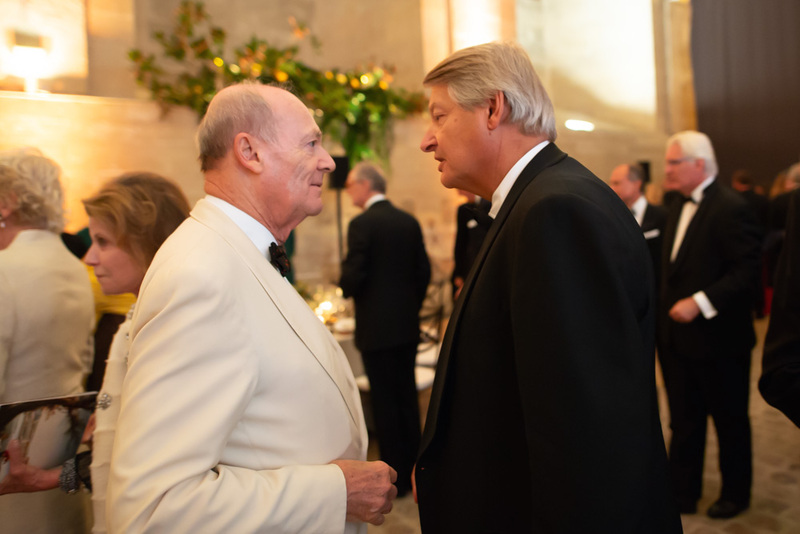 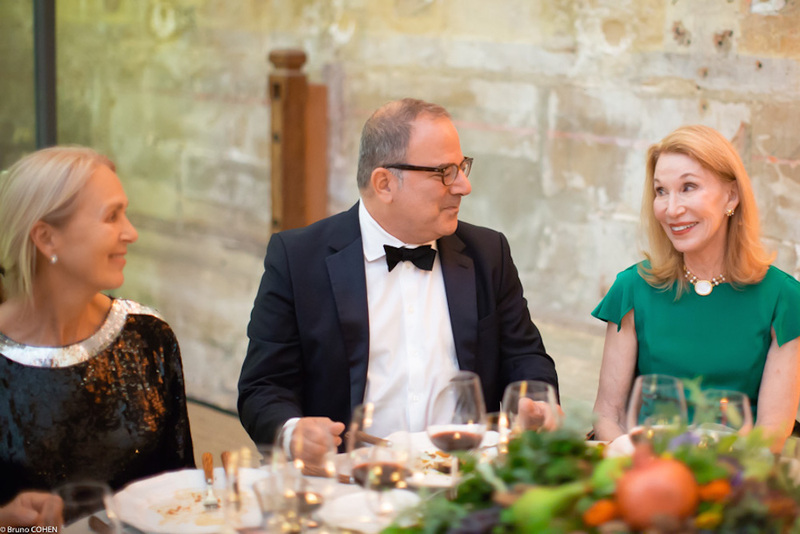 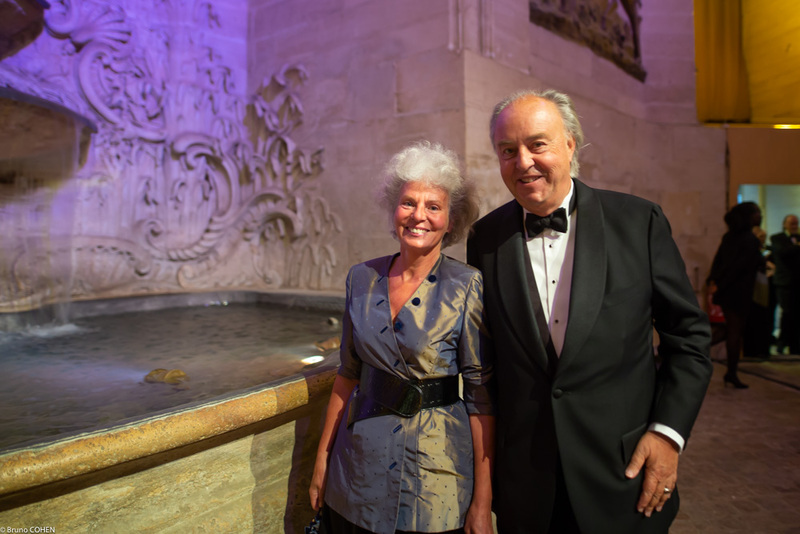 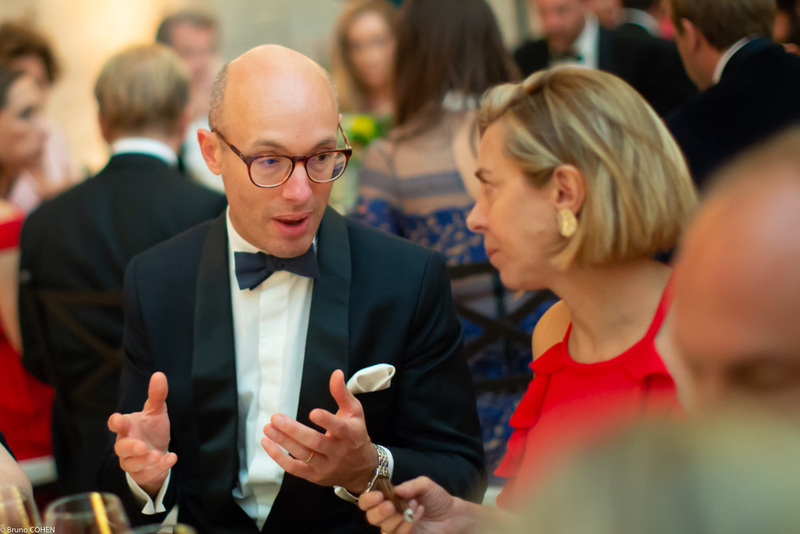 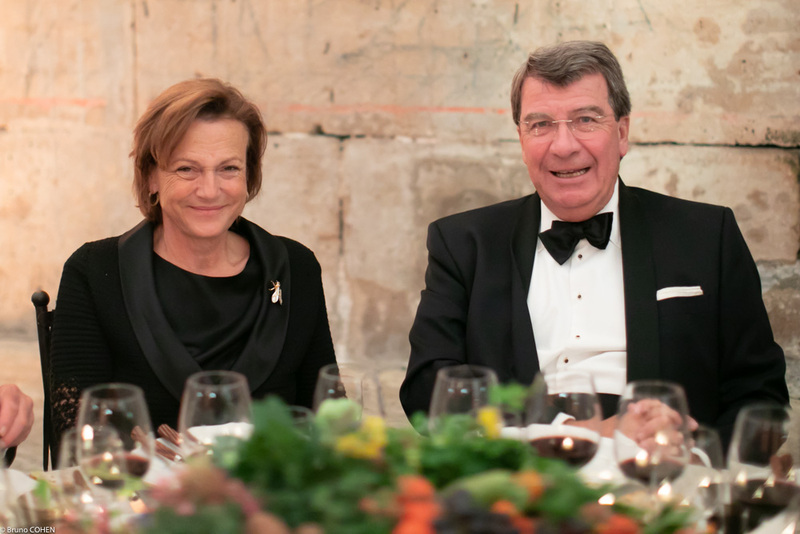 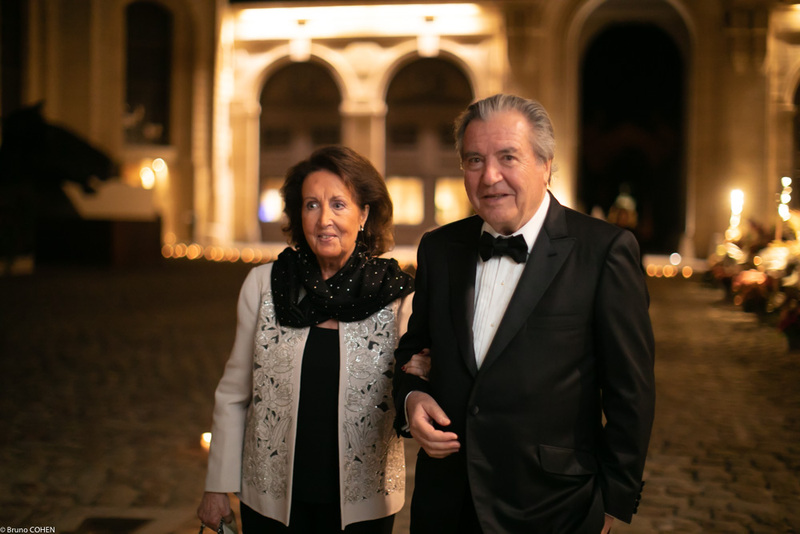 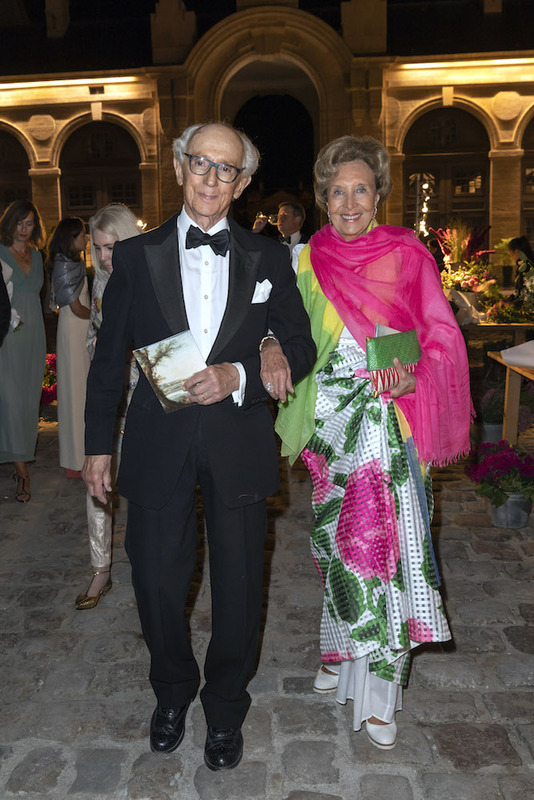 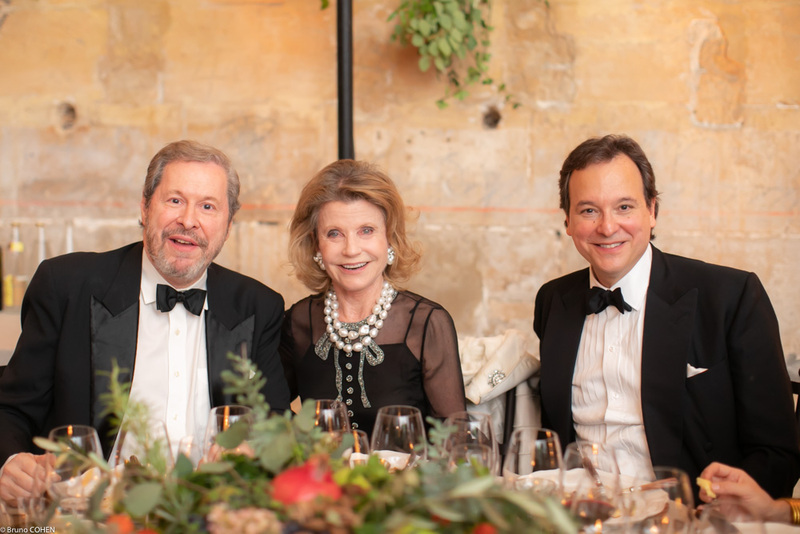 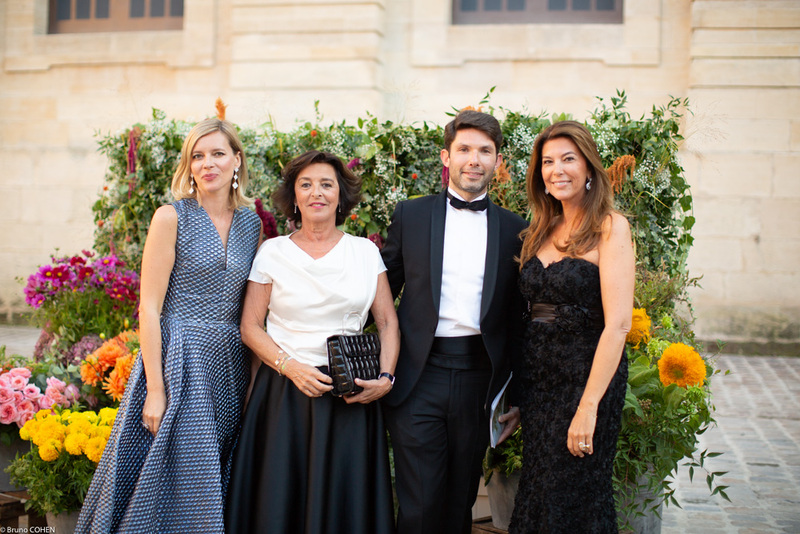 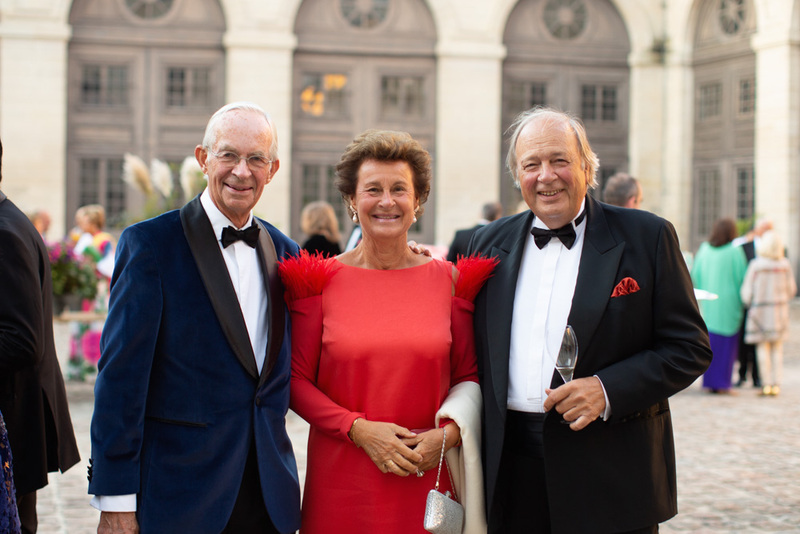 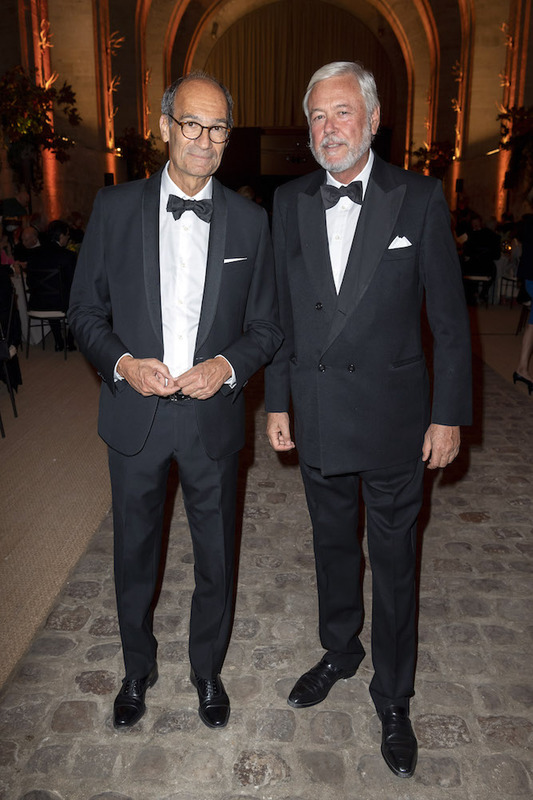 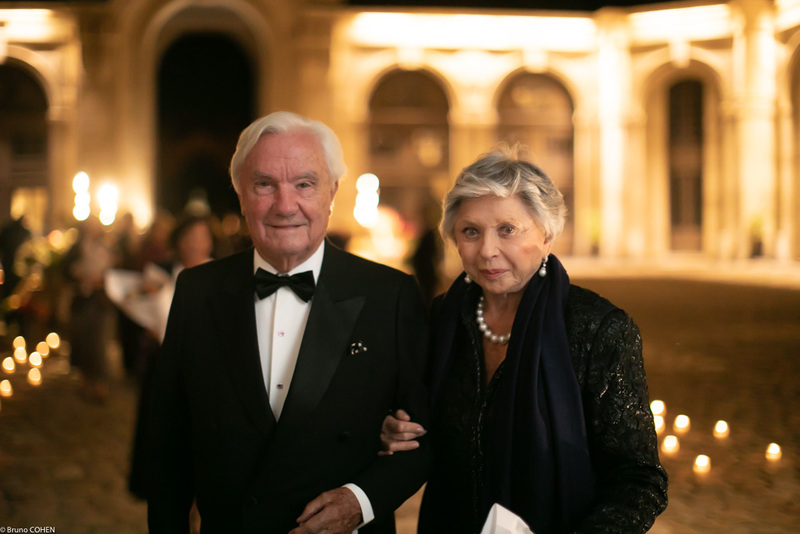 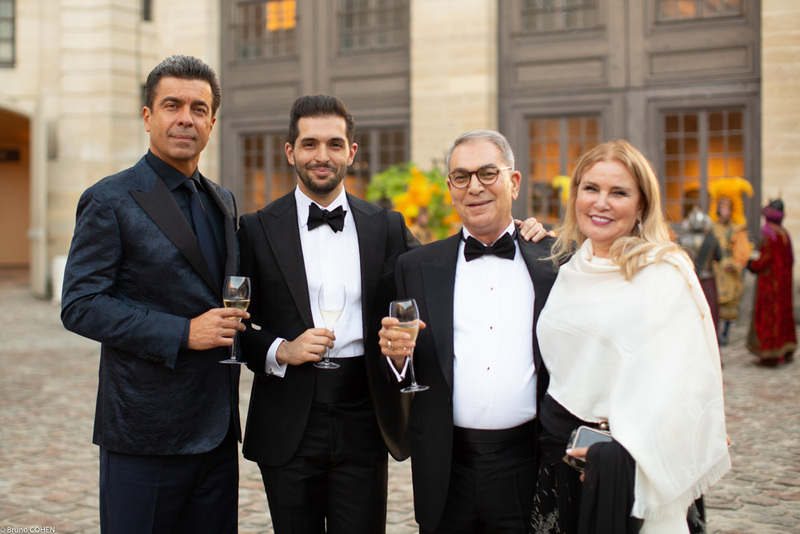 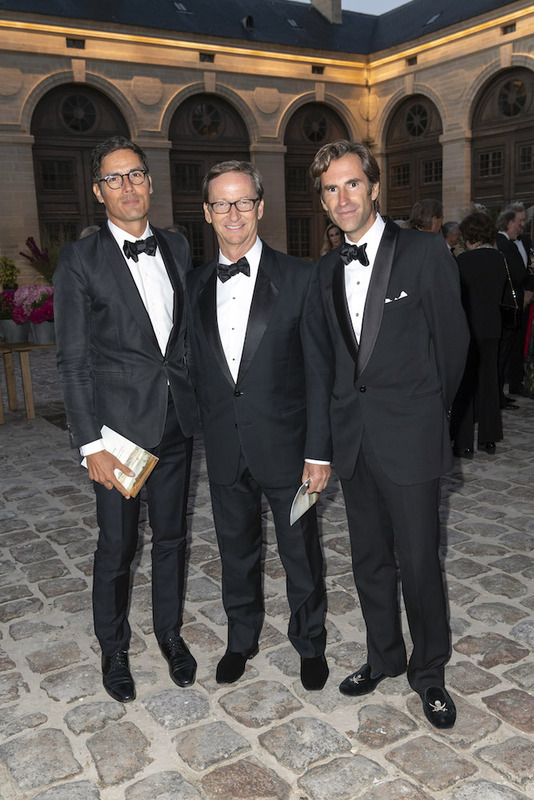 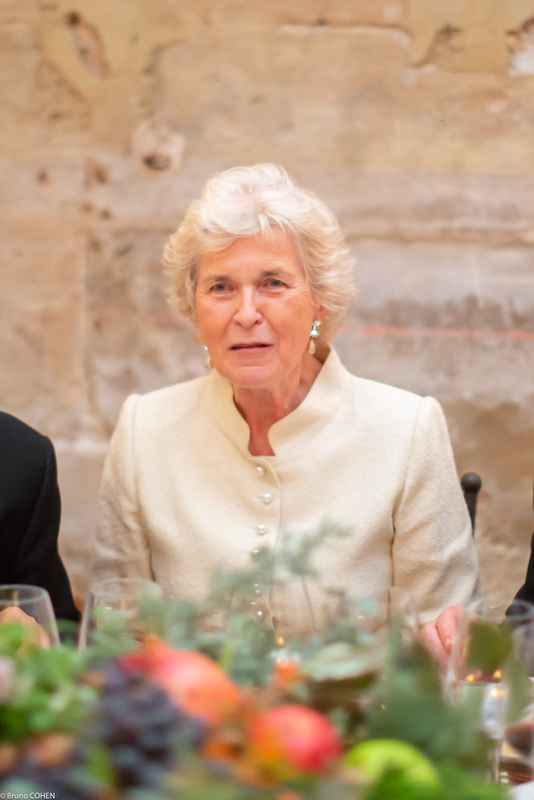 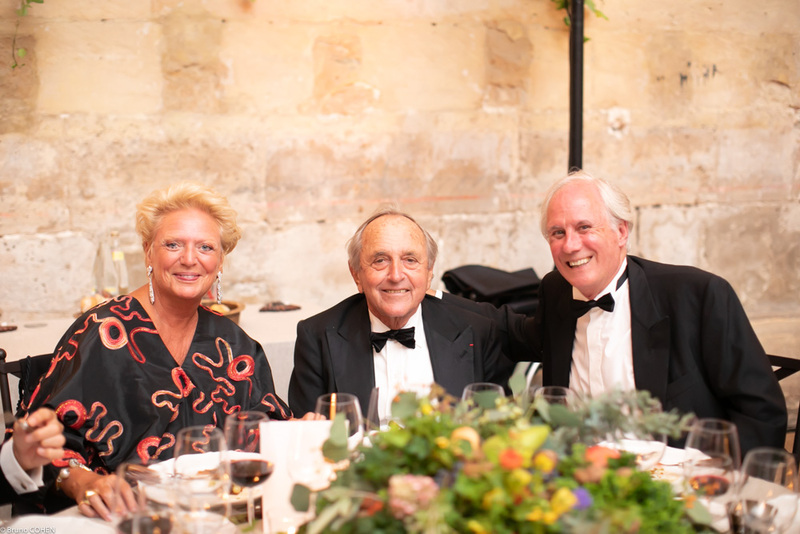 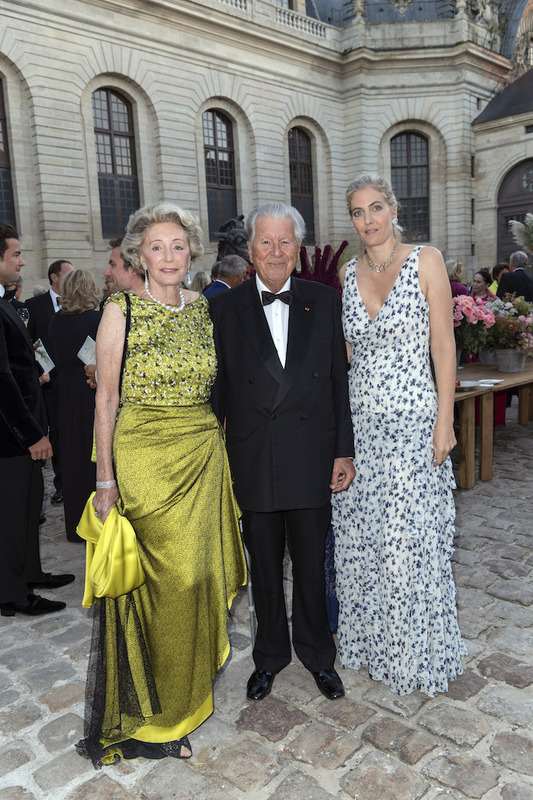 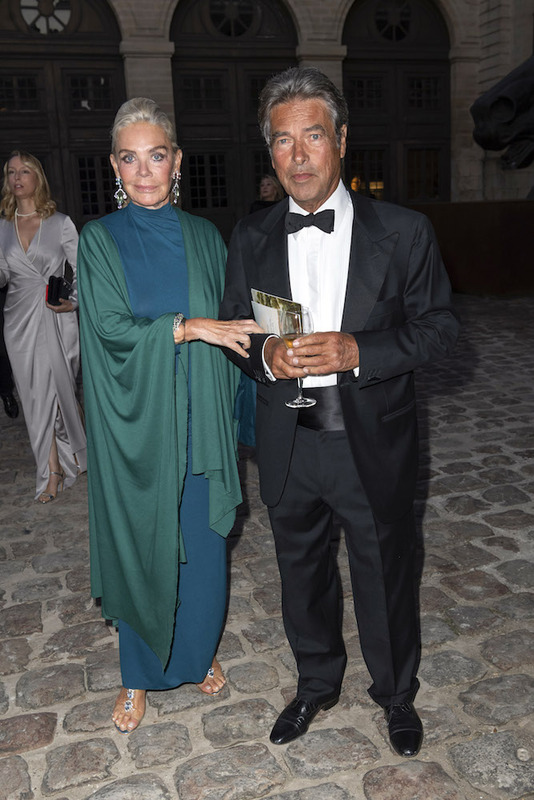 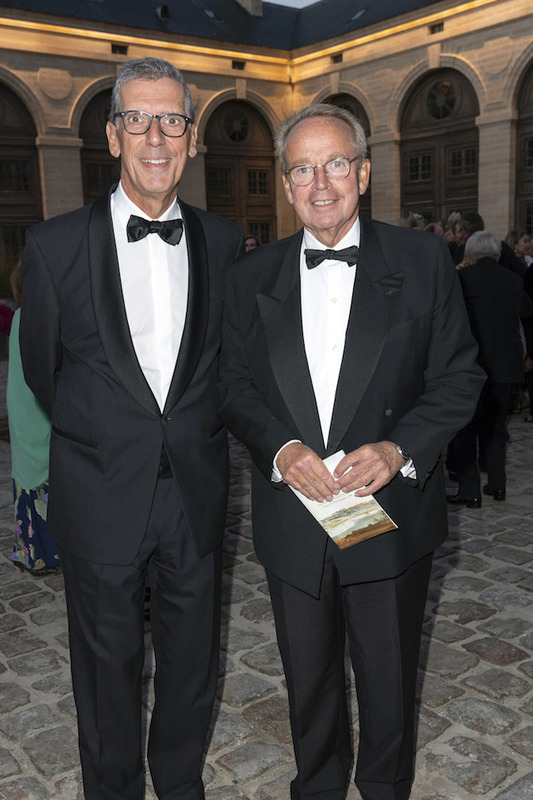 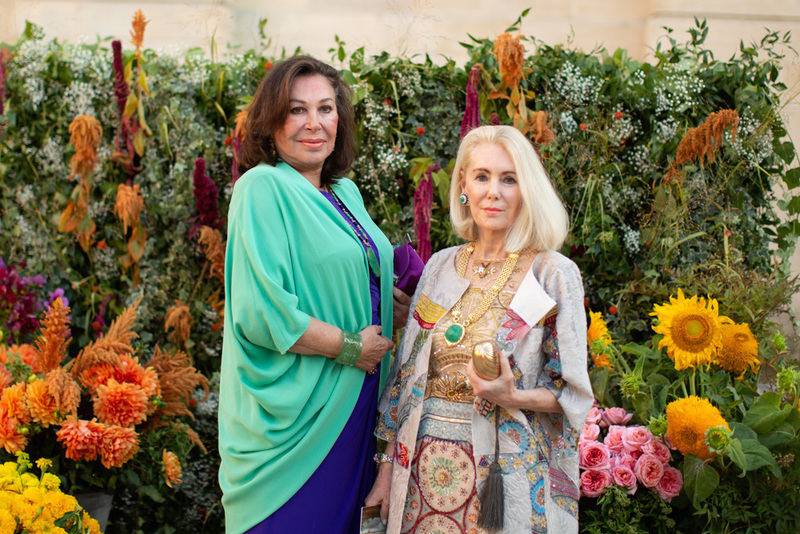 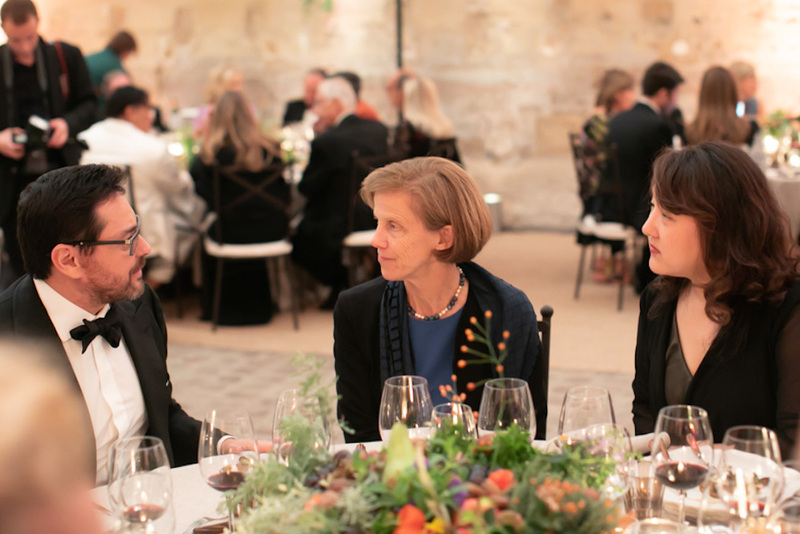 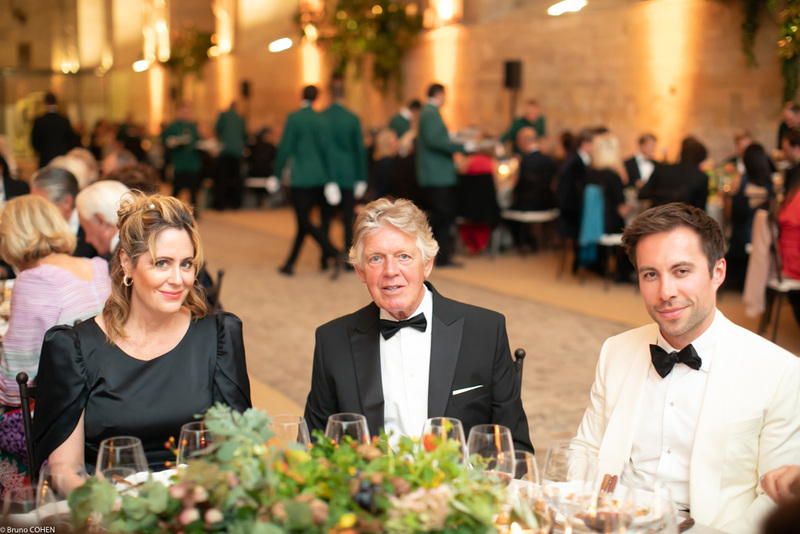 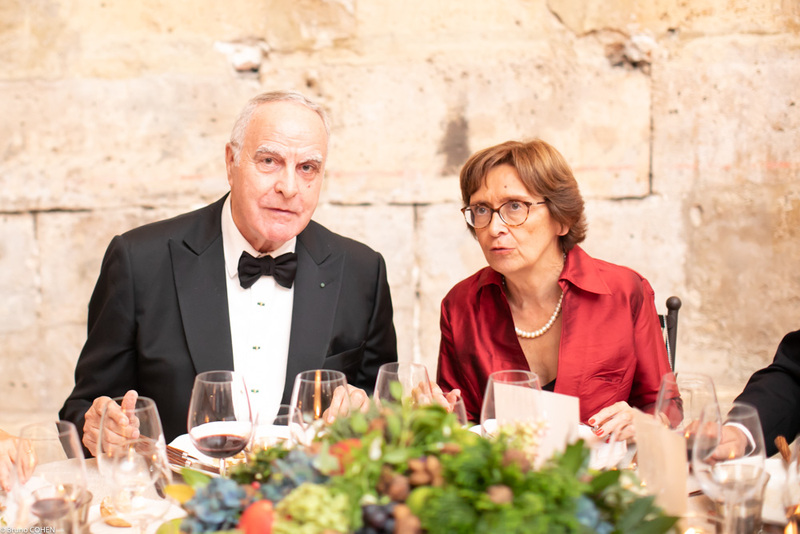 This exceptional evening was held under the high patronage of His Highness the Aga Khan, President of the Foundation for the Preservation and Development of the Domaine de Chantilly, and Xavier Darcos, Chancellor of the Institut de France. 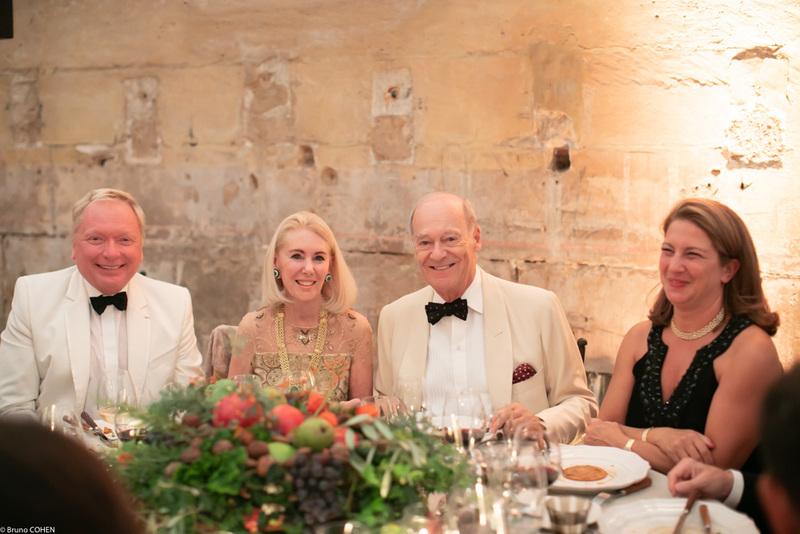 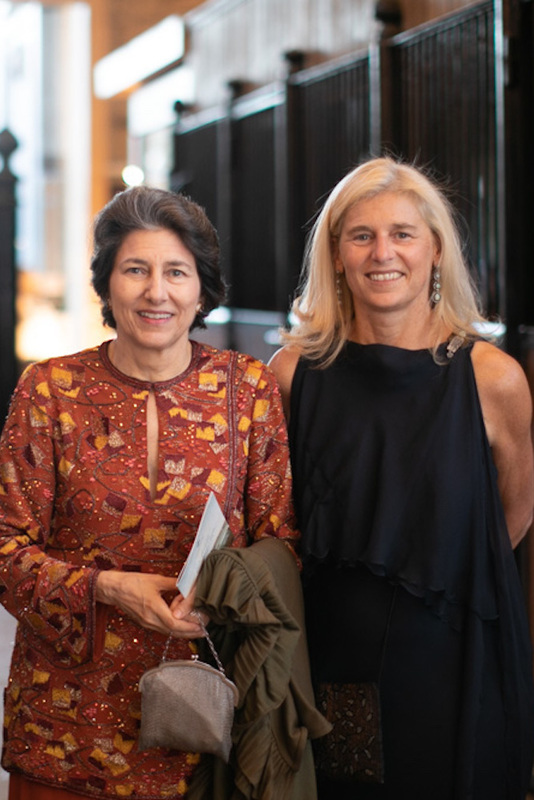 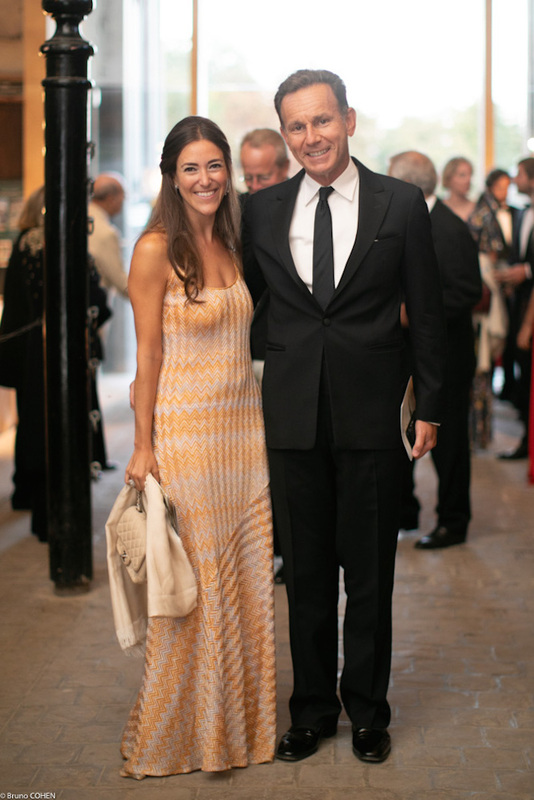 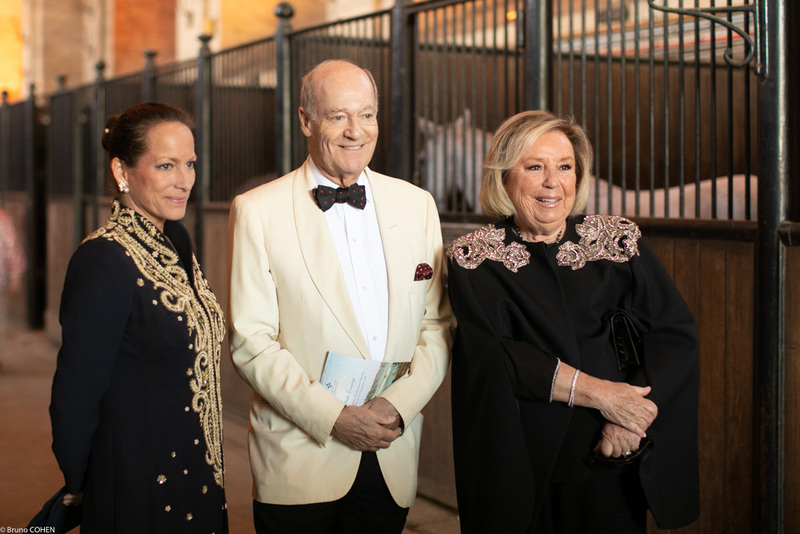 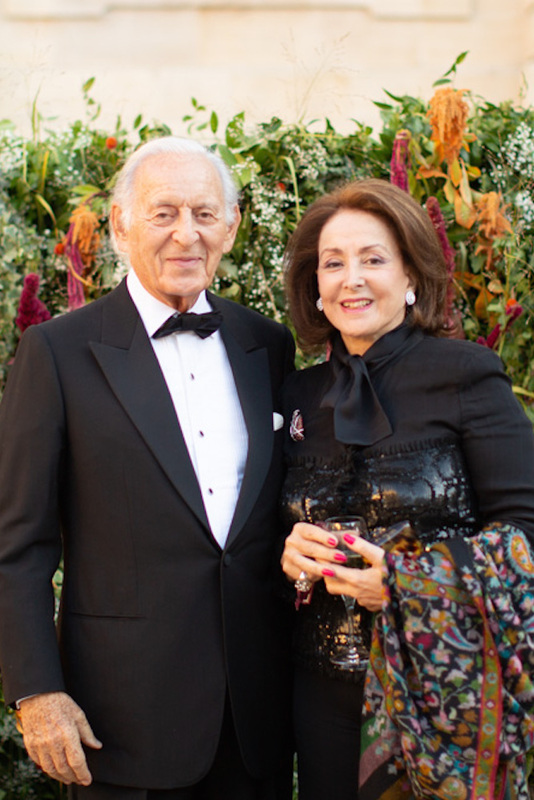 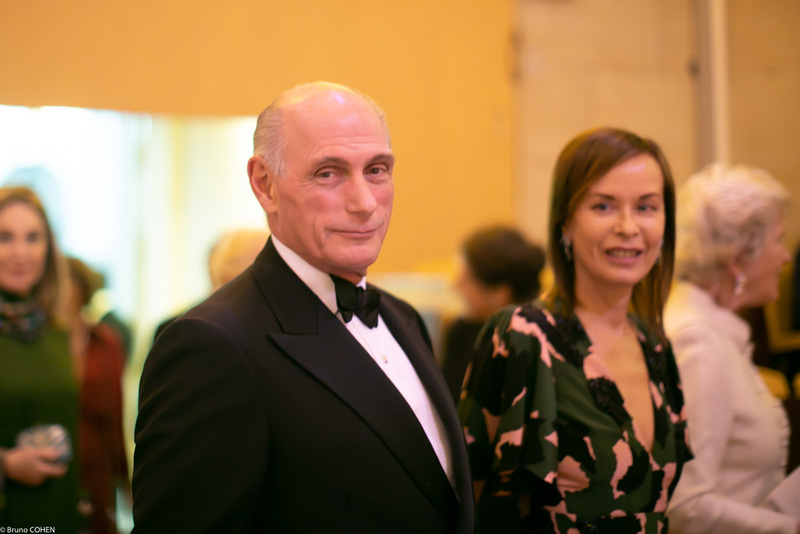 It was presided by Prince Amyn Aga Khan, Chairman of the Board of Directors of FODC, and co-chaired by Maryvonne Pinault and Princess Zahra Aga Khan, who brought together a prestigious Honorary Committee of philanthropists, arts enthusiasts, and equestrian aficionados. 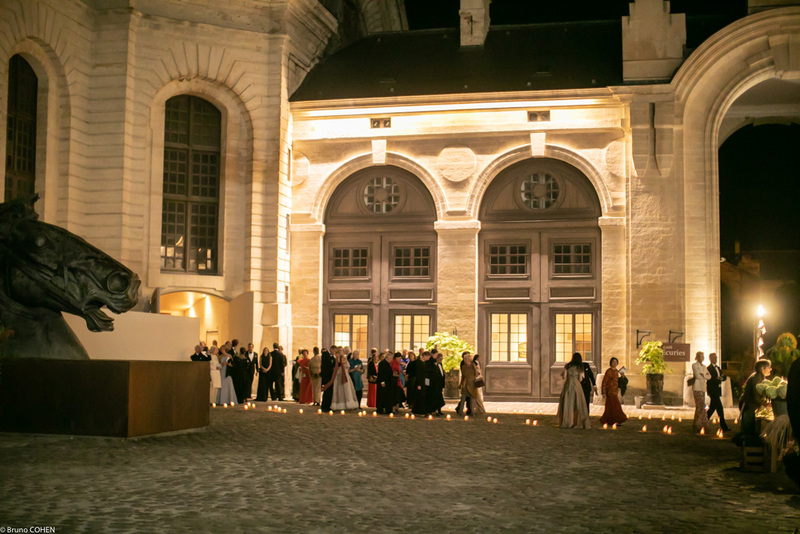 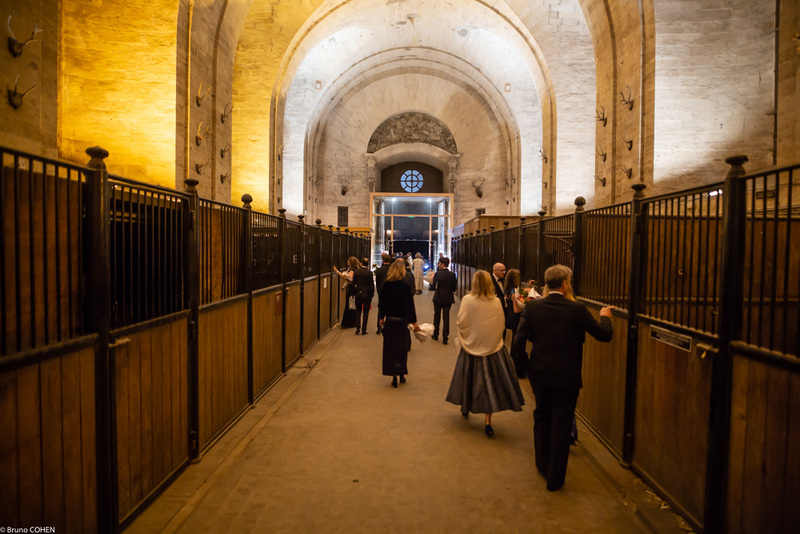 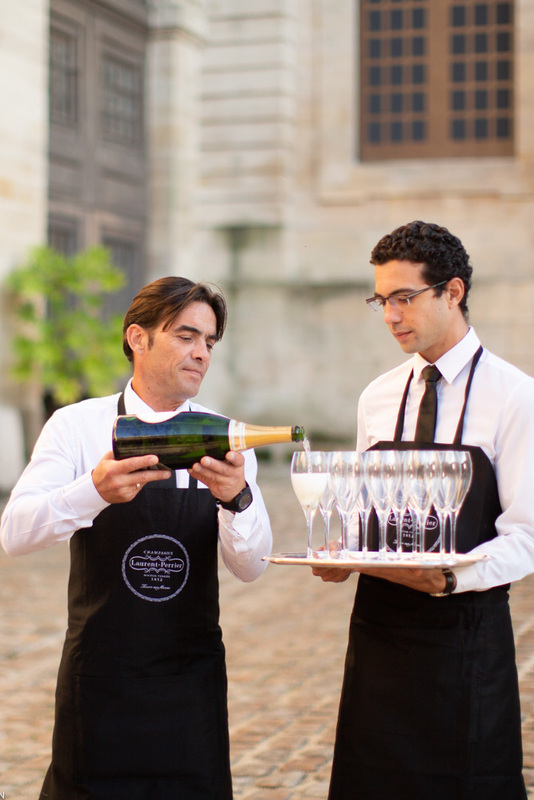 The festivities began with an outdoor reception in the impressive courtyard at the center of the Great Stables. 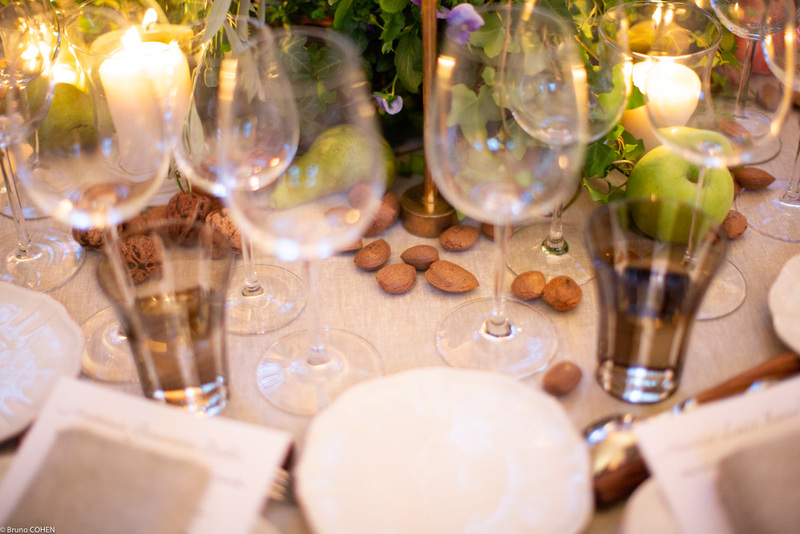 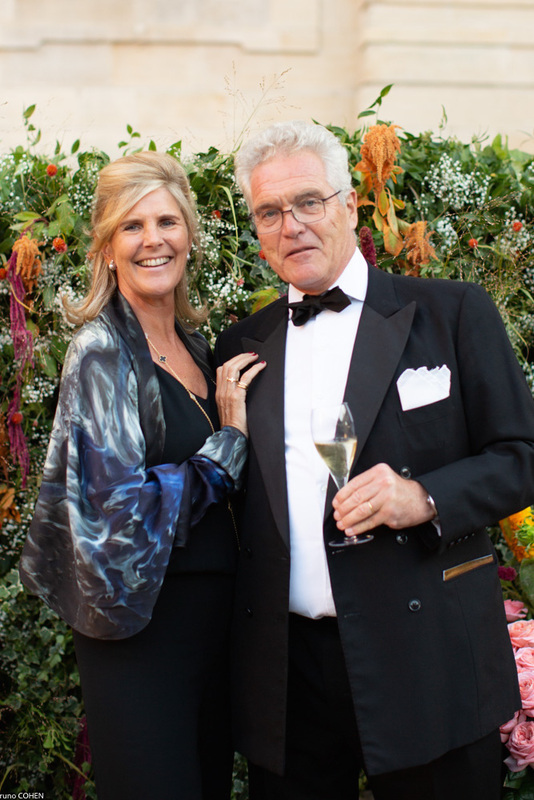 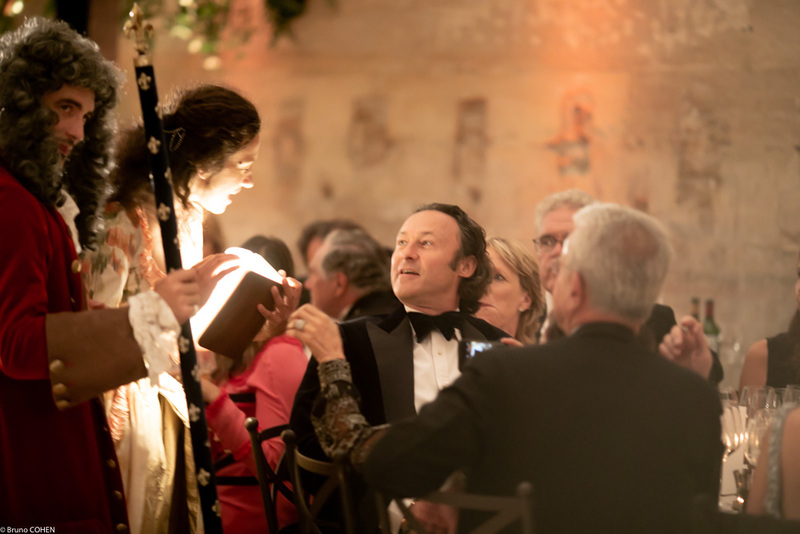 Guests enjoyed the famous champagne “La Cuvée” provided by Champagne Laurent-Perrier and served from magnum bottles, all the while surrounded by a picturesque décor created by the talented Eric Chauvin. 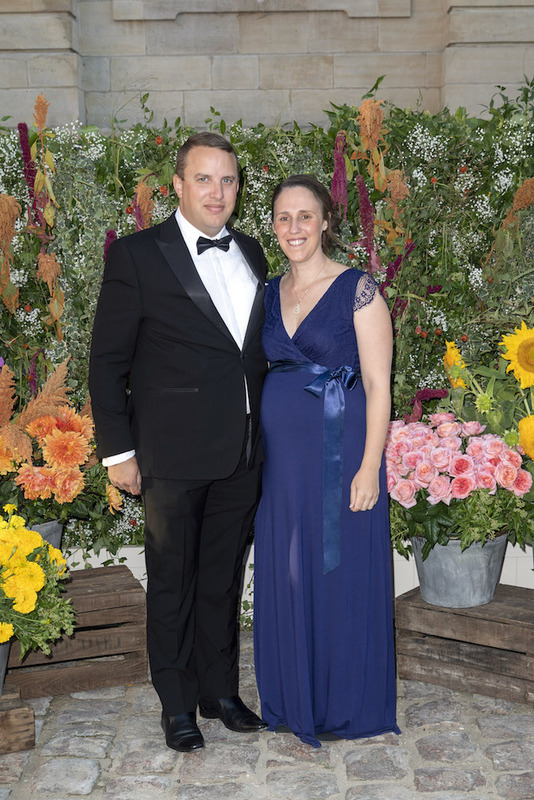 Many of the guests took a moment to pose for a picture in front of a vibrant flower display. 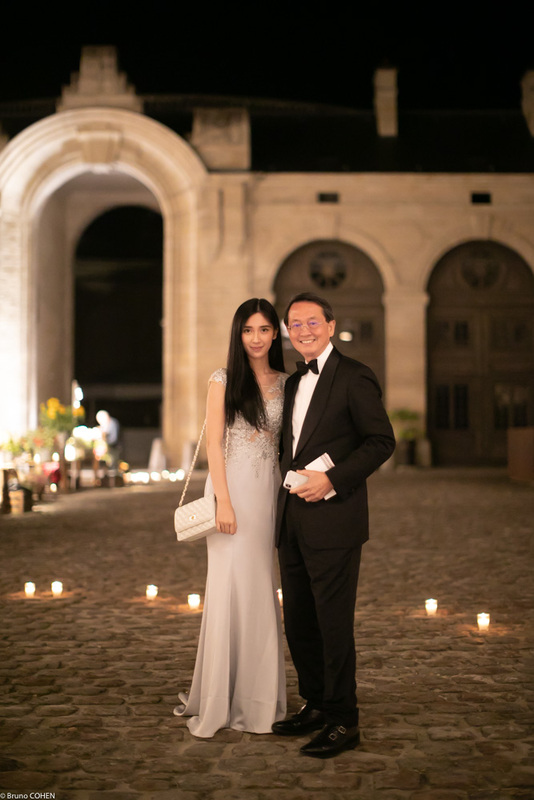 As the sky darkened, the sound of trumpets heralded the evening’s main program and beckoned the guests towards the central pavilion dominated by a 28 meter high dome. 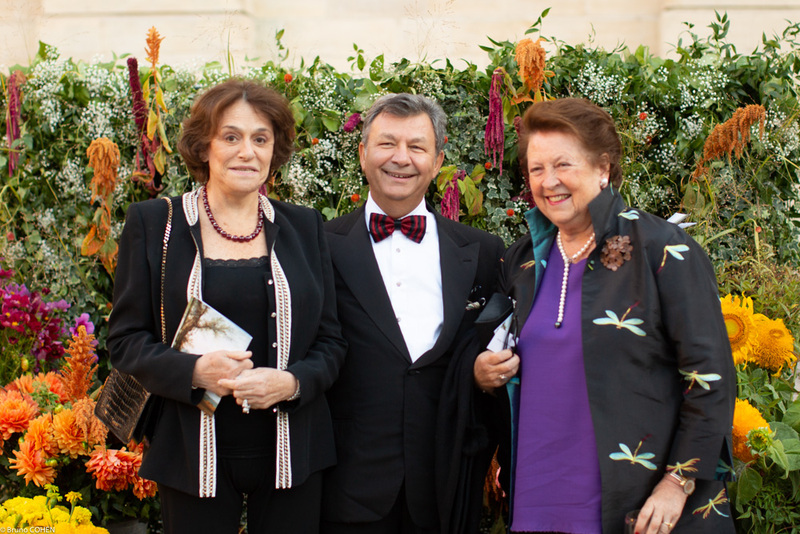 In front of an ornately sculpted fountain marking the construction of the Great Stables, Prince Amyn Aga Khan, Maryvonne Pinault and Princess Zahra Aga Khan extended an official welcome, highlighted the achievements of Friends of the Domaine de Chantilly, and expressed their gratitude to everyone for their unwavering support. 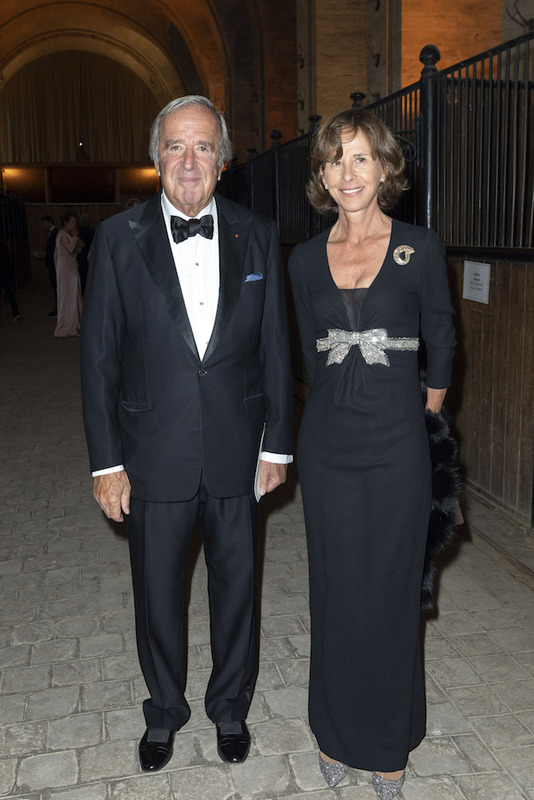 After their warm remarks, they introduced the special performance by Chantilly’s own renowned equestrian company which was founded in 1984 by Yves Bienaimé and is now overseen by his daughter Sophie. 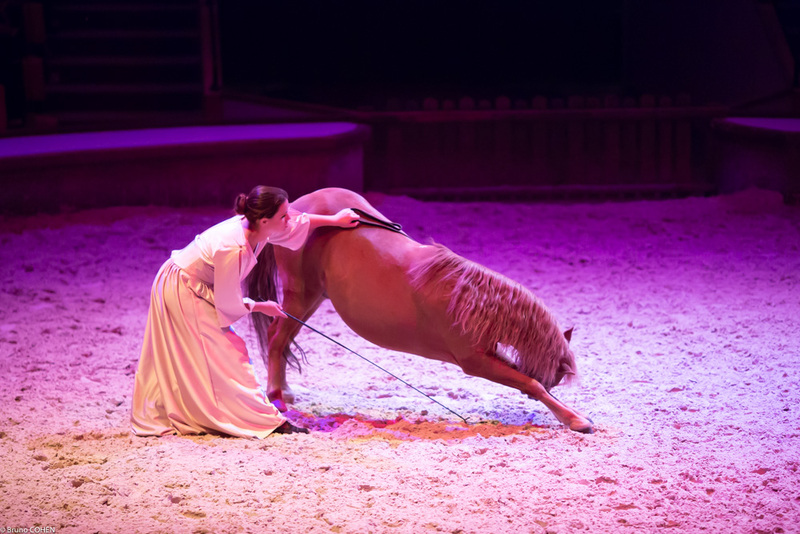 The riders along with the horses and the donkeys entertained the impressed crowd with their graceful horsemanship and balletic skill. 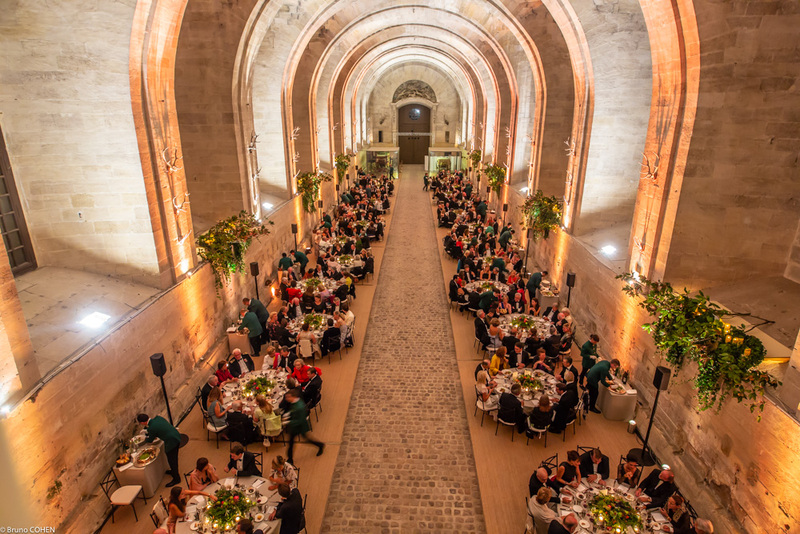 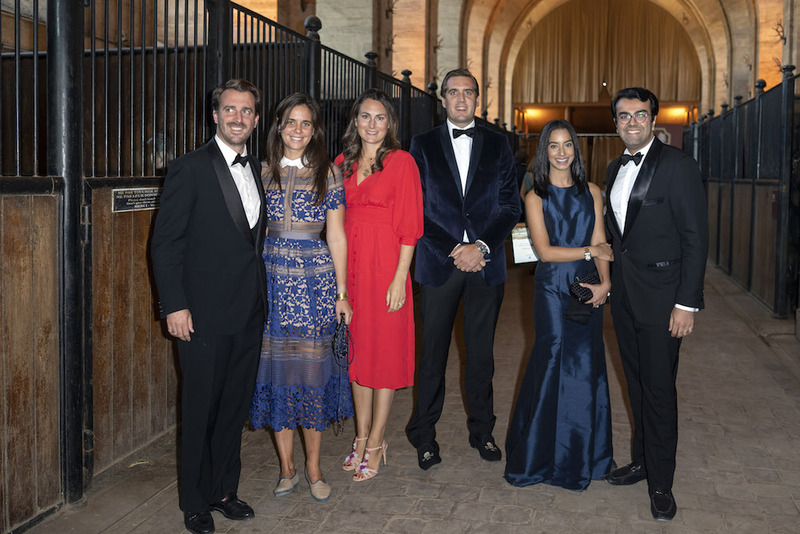 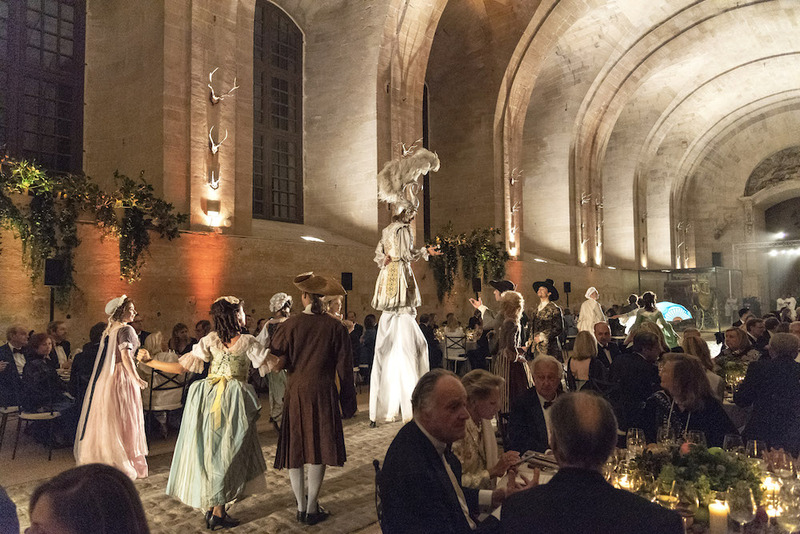 Guests were then invited to enter the Great Stables’ western wing, a magnificent room of monumental proportions featuring an eighteenth century décor, where a sumptuous dinner was served. 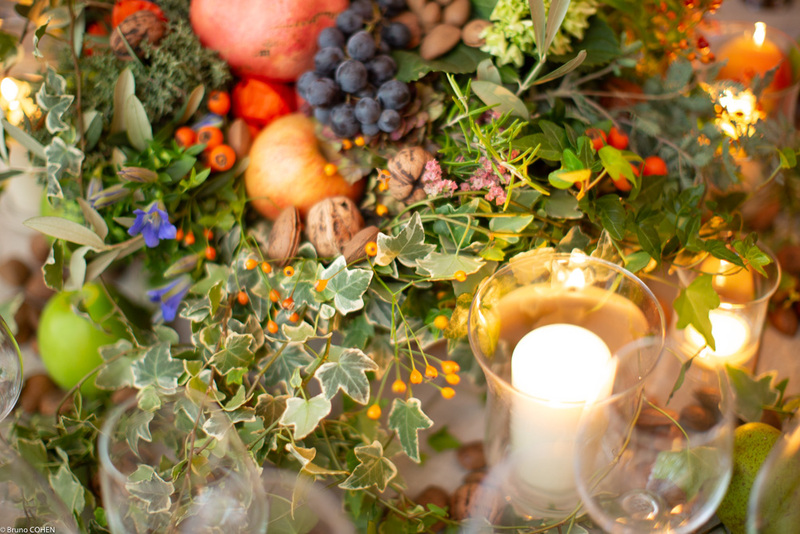 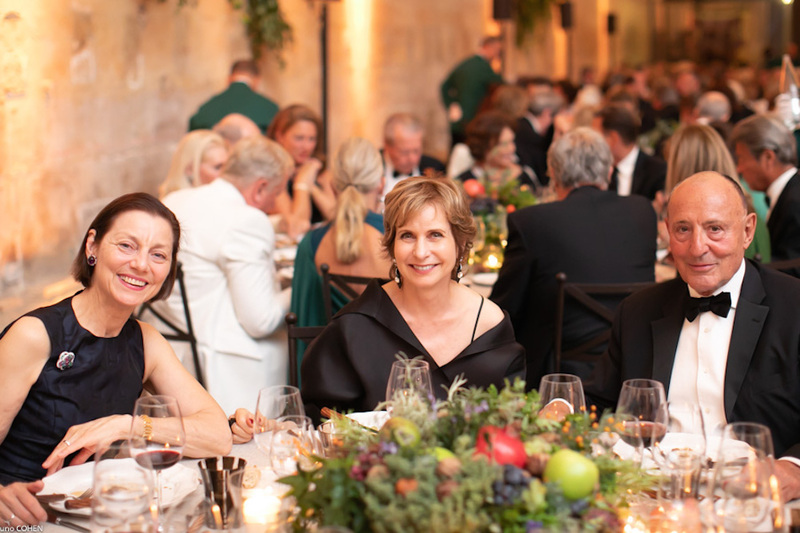 Thanks once again to Eric Chauvin’s boundless imagination, foliage draped artfully from the walls and the tables were festooned with beautiful centerpieces composed of baskets of wildflowers aside beautiful tableware supplied by Maison Options. 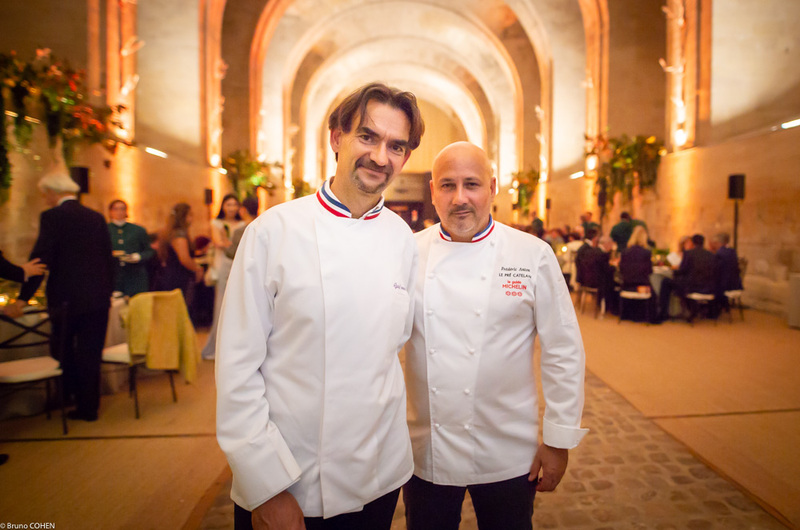 Frédéric Anton, celebrated three Michelin star chef, and Guy Krenzer, Creative Director of Lenôtre, revived traditional dishes for the menu which were accompanied by two iconic Grand Cru Bordeaux wines, Château Canon and Château Rauzan-Ségla, generously donated by Alain and Gérard Wertheimer. 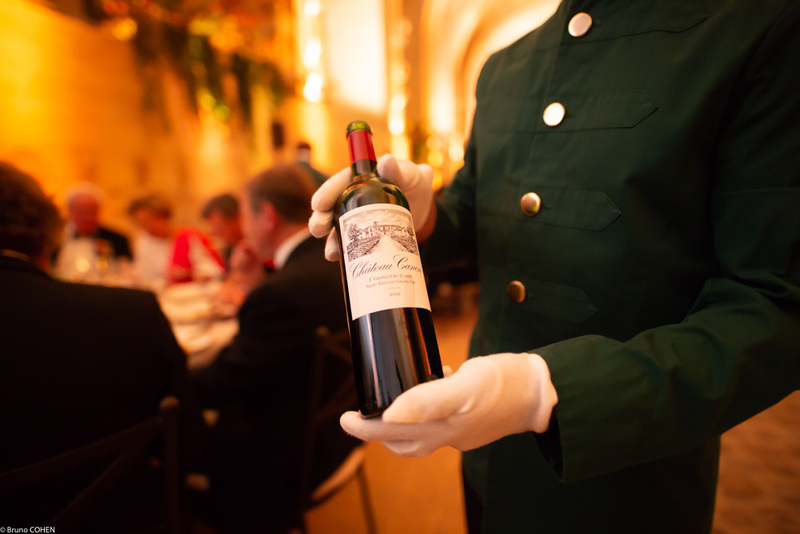 Dessert was paired with a delectable Sauternes from Château Rieussec provided by the Domaines Barons de Rothschild (Lafite). 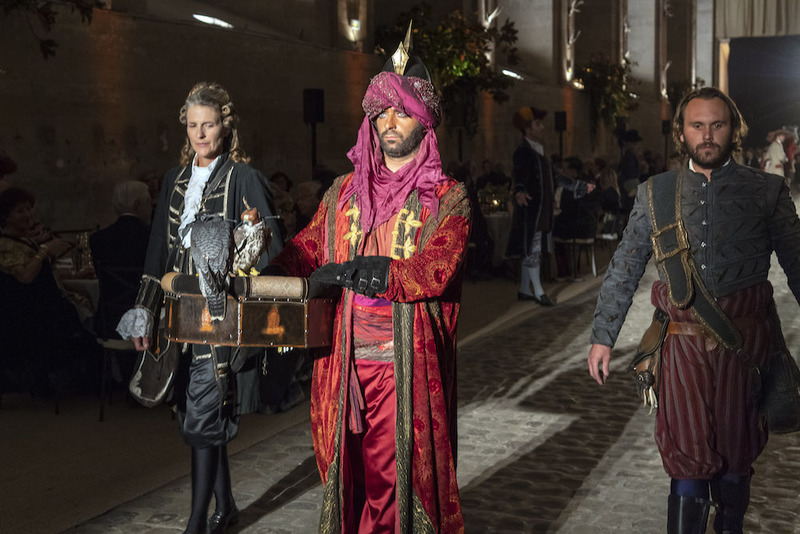 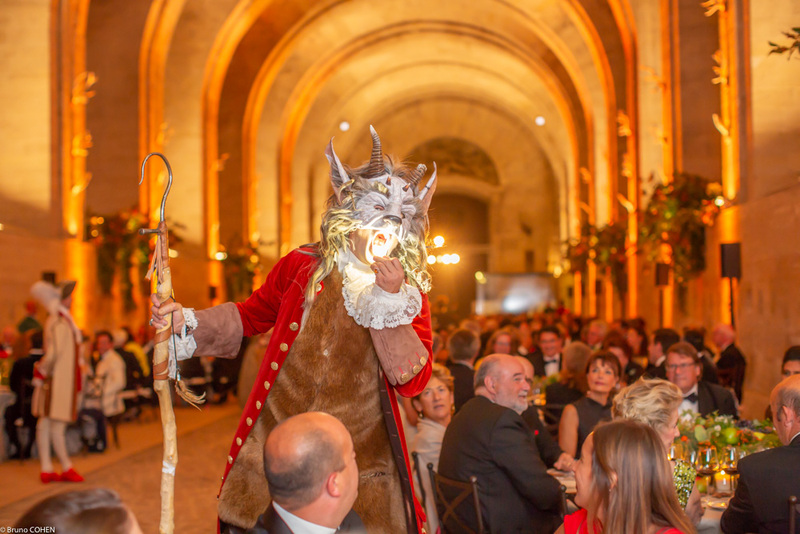 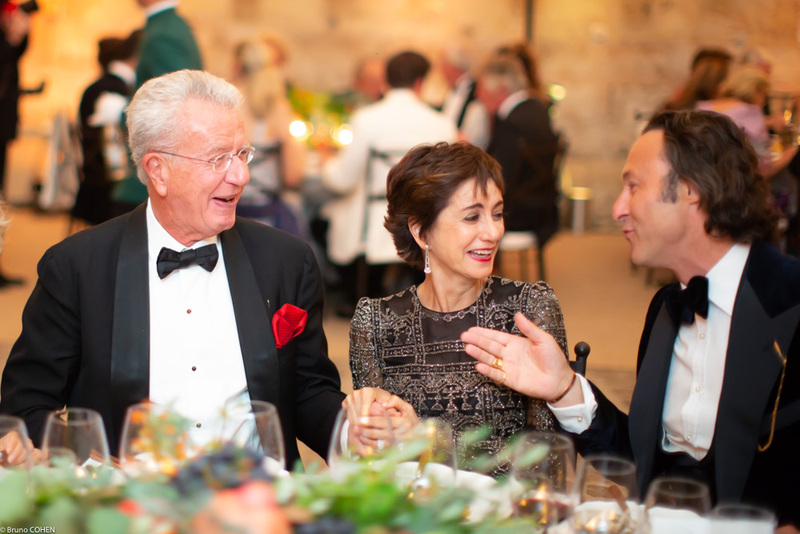 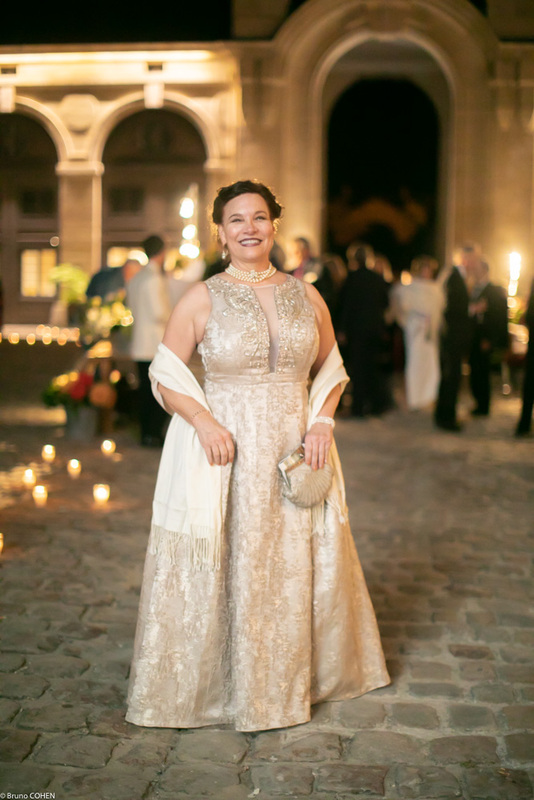 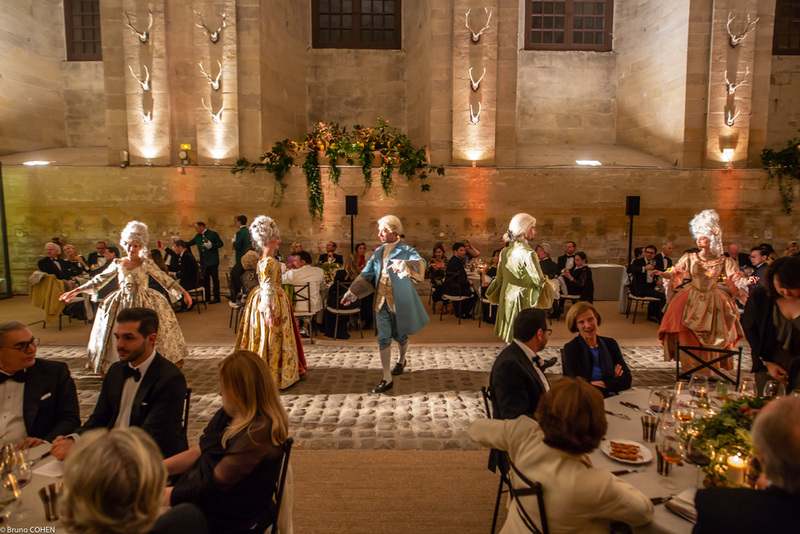 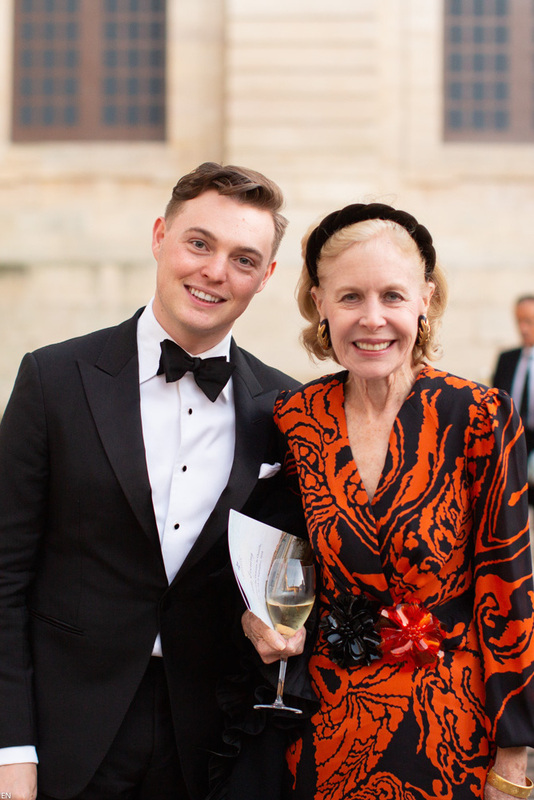 All throughout dinner, impromptu performances by actors, musicians, and artists dressed in eighteenth-century period regalia surprised guests and added a spark of cheer and merriment. 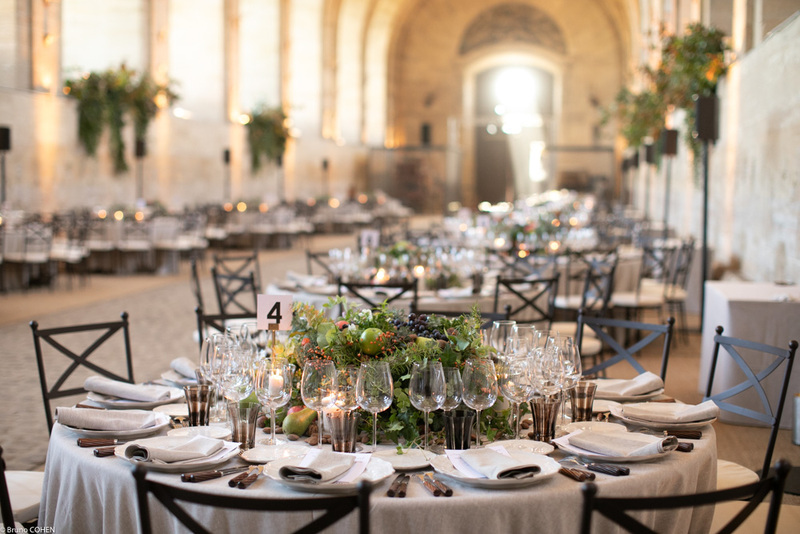 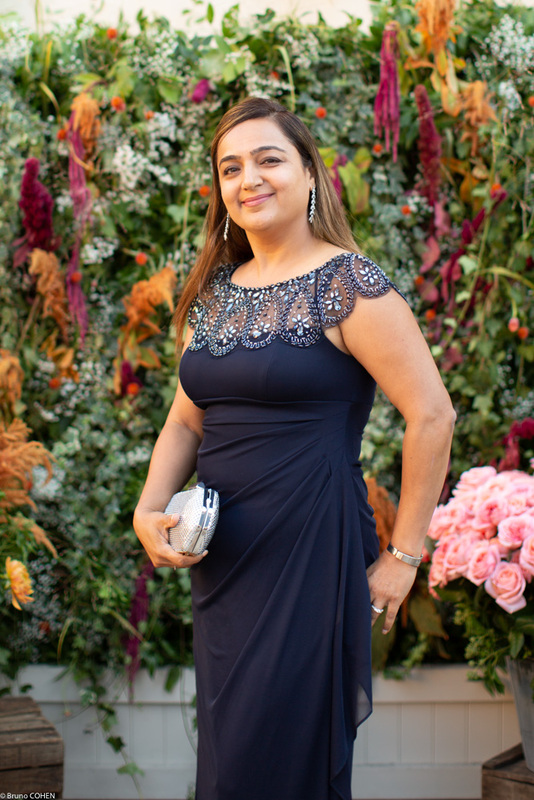 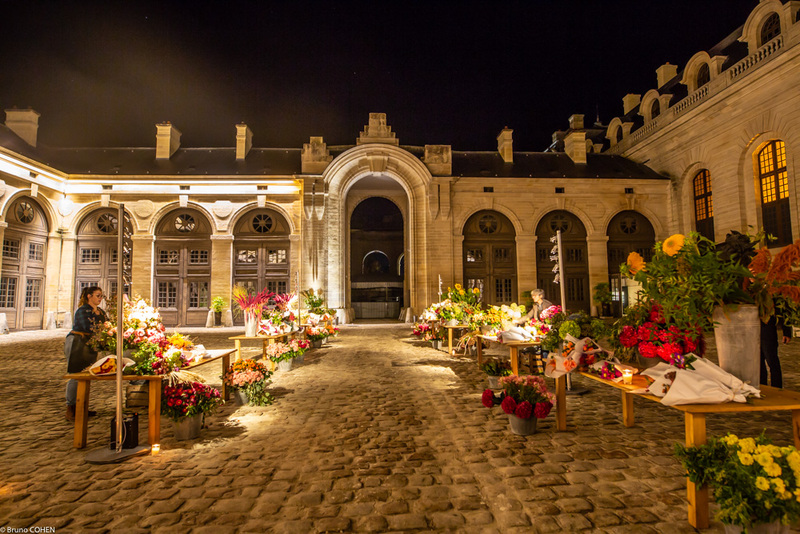 After the superb dinner, guests were ushered once again to the main courtyard which had been transformed into the scene of an outdoor flower market. 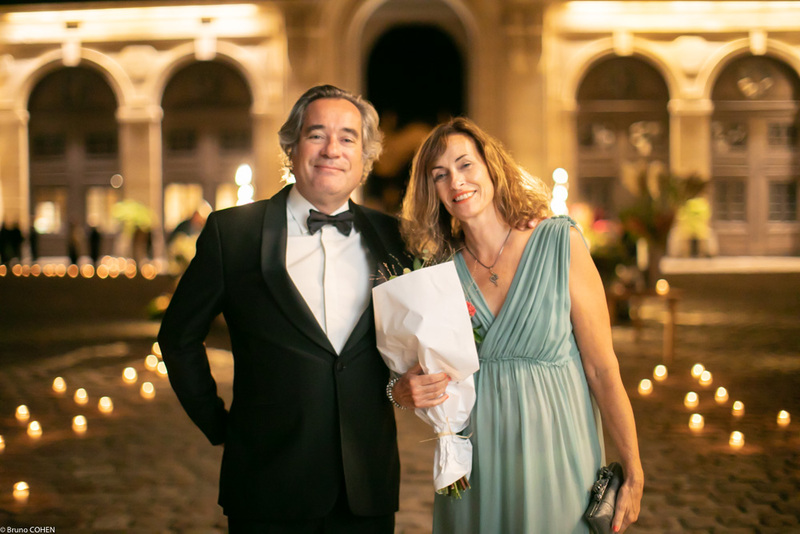 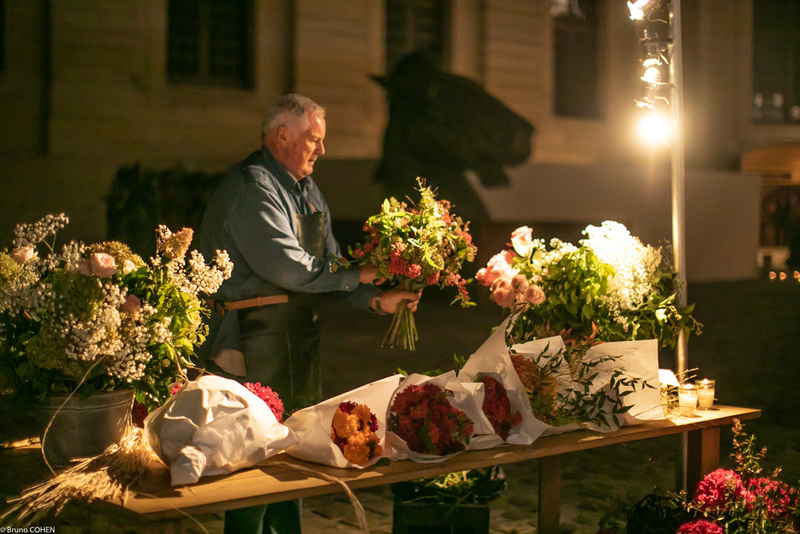 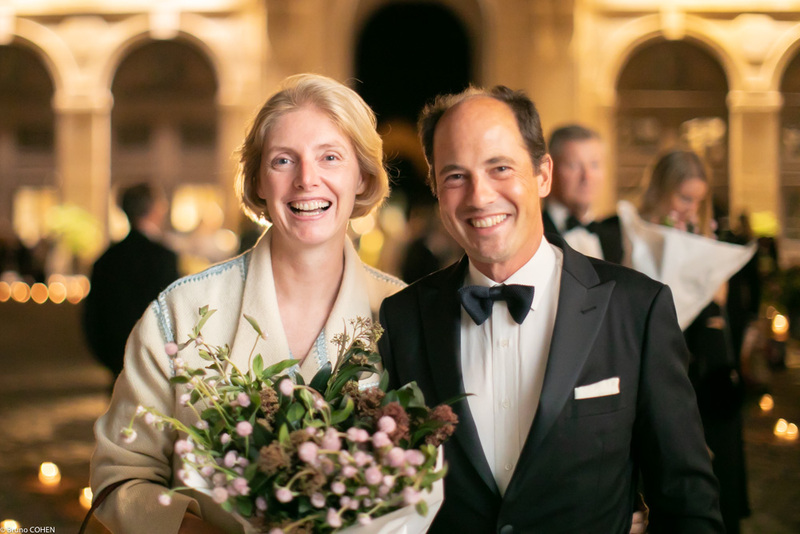 Ladies (and many of the gentlemen) were treated to lavish bouquets of flowers of their own choosing in souvenir of an unforgettable evening at Chantilly. 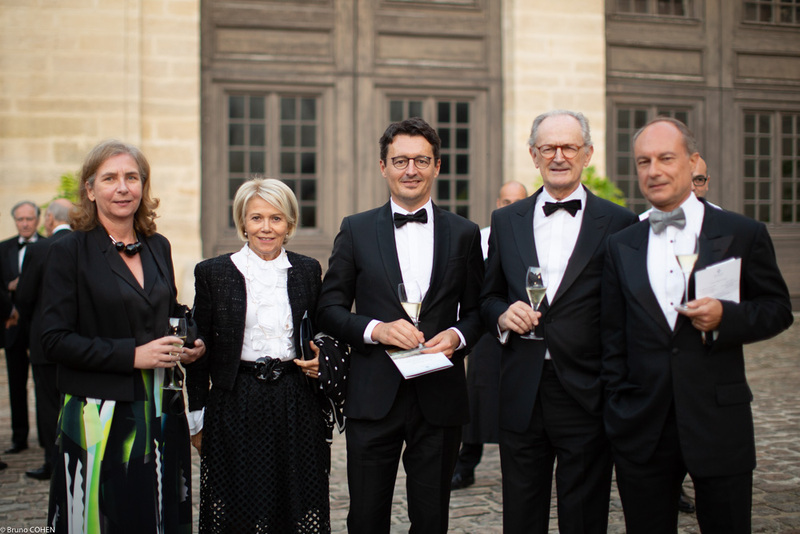 Several members of Friends of the Domaine de Chantilly’s Board of Directors were present and shared their enthusiasm: Nathalie Brunel, Betty Eveillard, Alexis Gregory, Pierre Guénant, Henri Loyrette, James Marlas, Nazlin Pepermintwala, and Daniel Thierry. 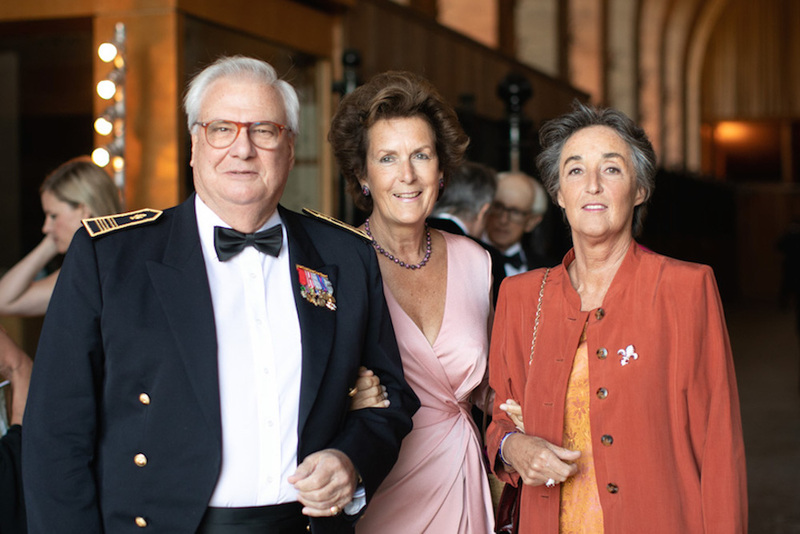 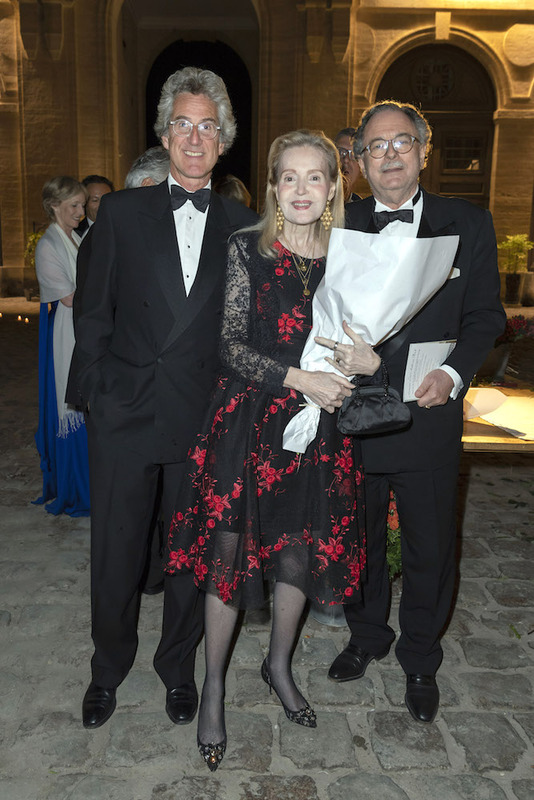 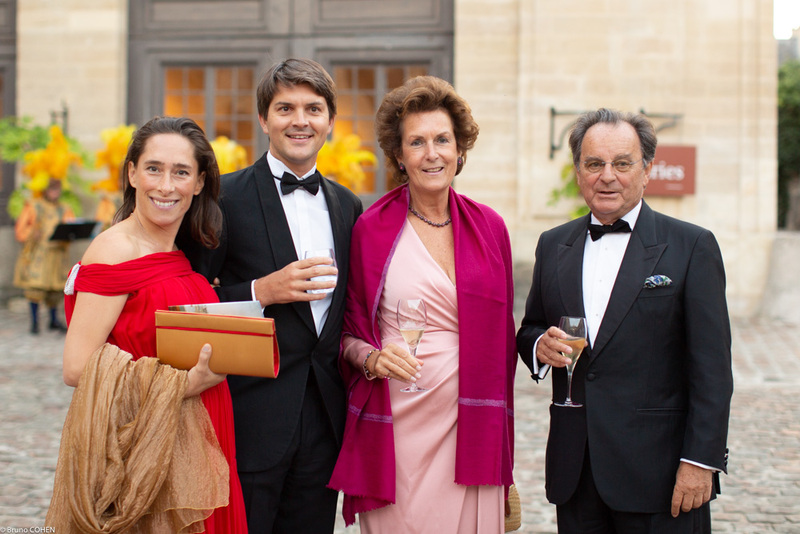 Many members of the Honorary Committee, whose support was invaluable to the event, were also in attendance: Mr. and Mrs. Christian Baillet, Count and Countess Edouard de Boisgelin, Count and Countess Rodolphe de Causans, Mr. and Mrs. Bertrand Chardon, Christopher Forbes, Colonel and Mrs. Ghislain Houzel, Viscount and Viscountess Jean d’Indy, Christian Langlois-Meurinne, Mrs. Jean-François Méjanès, Stéphanie Meneux de Nonancourt, Mrs. William Nitze, Marquis de Pracomtal, and Mr. and Mrs. Alain de Royer Dupré. 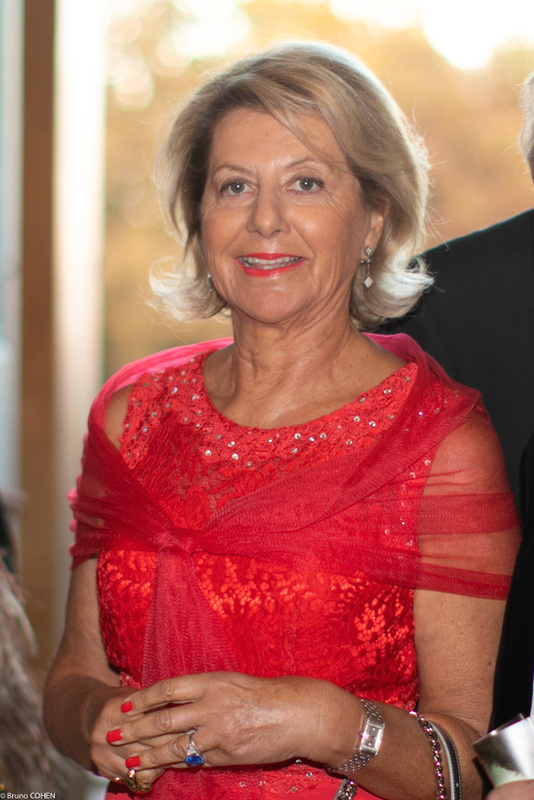 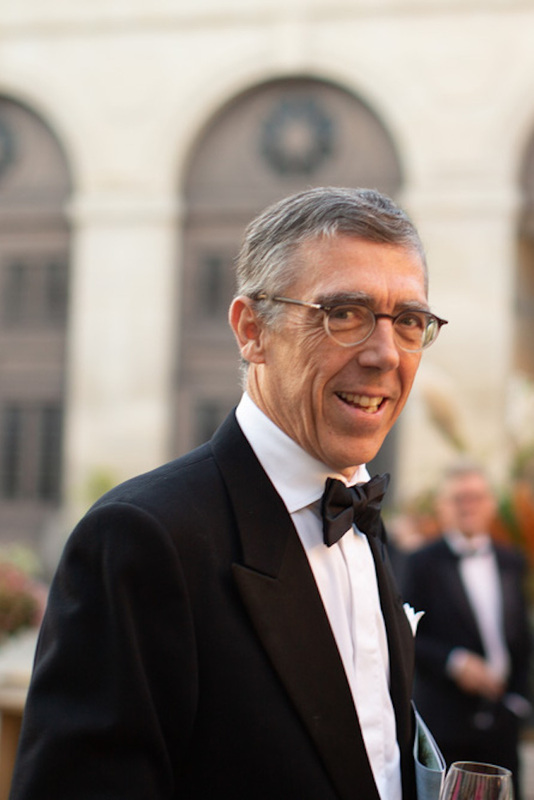 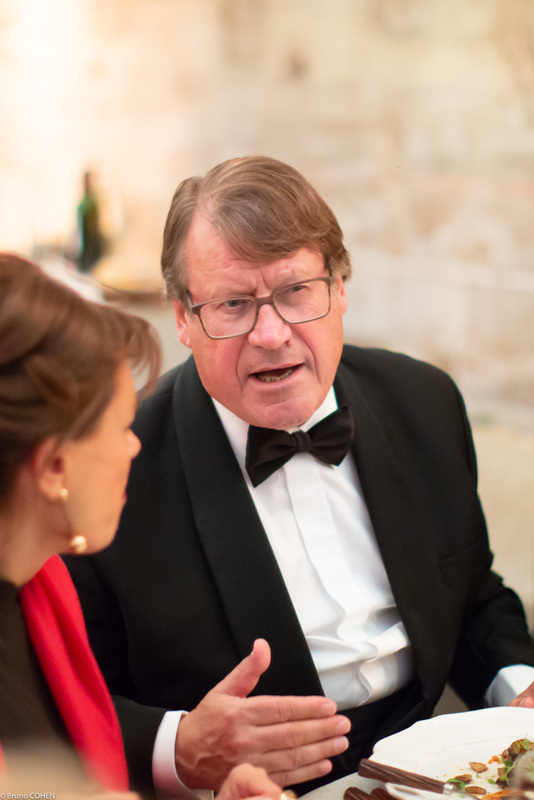 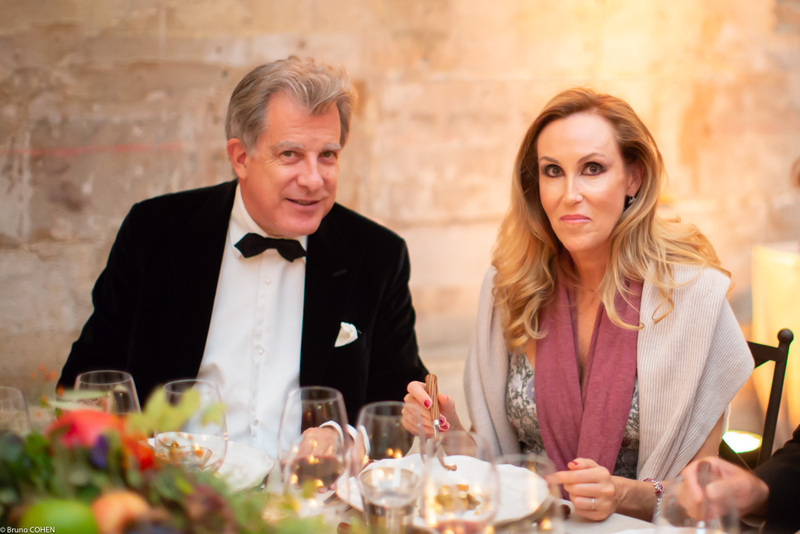 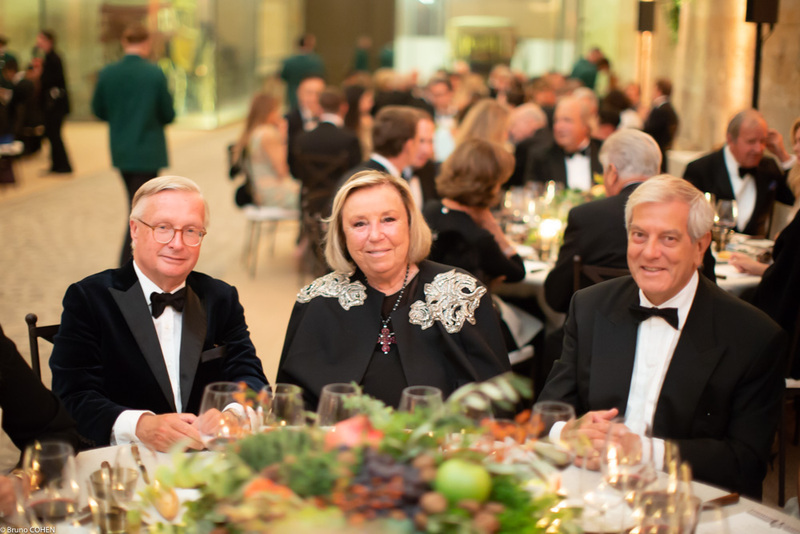 Committee members who could not be present in person sent their best wishes for a successful evening: Winfried Engelbrecht-Bresges, Cina Alexander Forgason, Mr. and Mrs. John Magnier, Baron Edouard de Rothschild and His Highness Maharaja Sawai Padmanabh Singh of Jaipur. 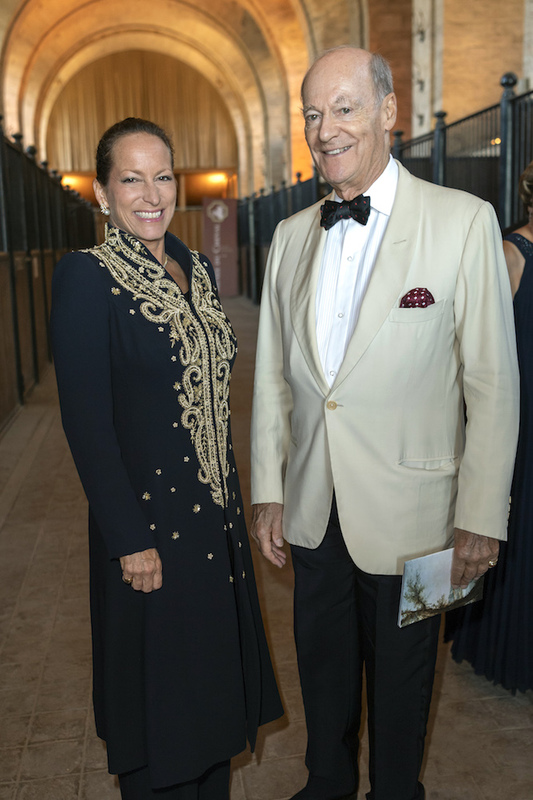 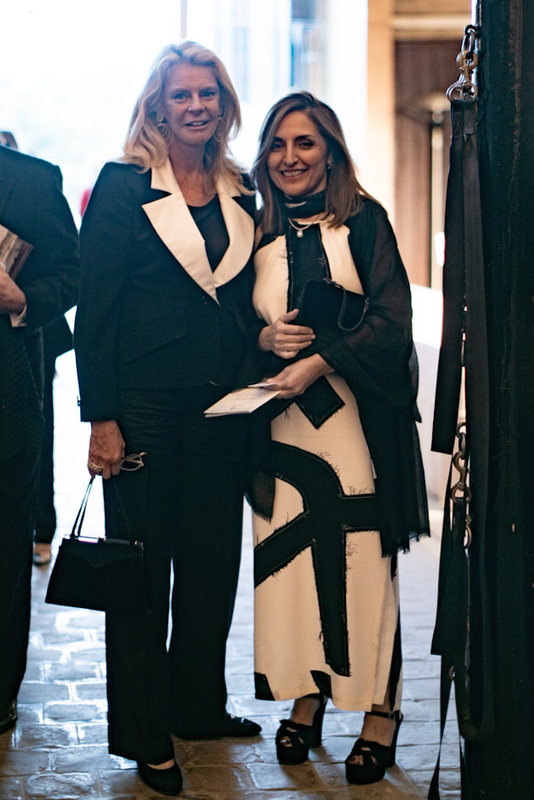 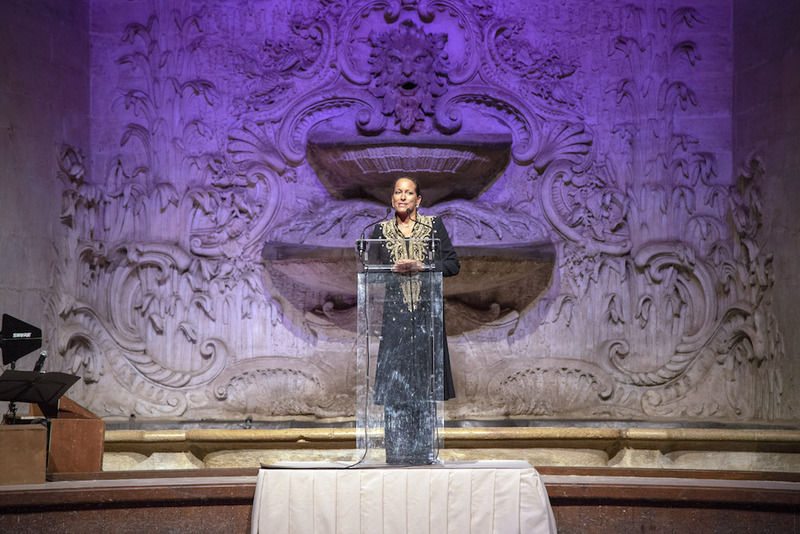 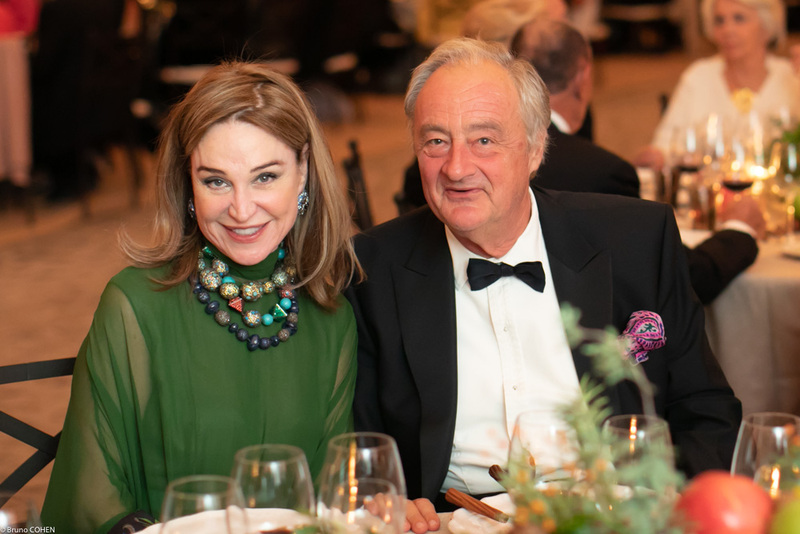 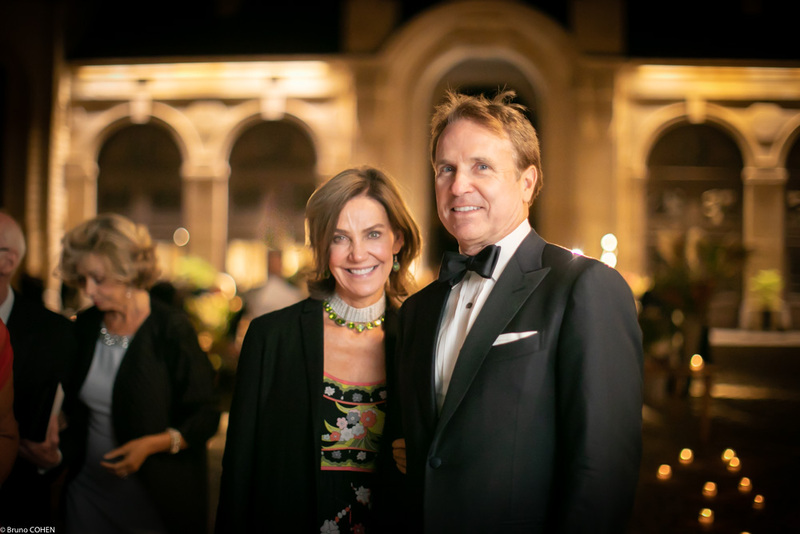 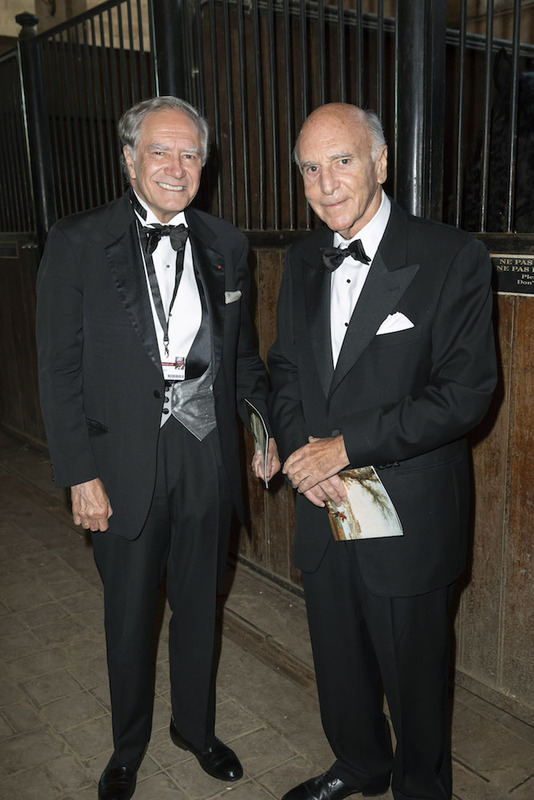 This extraordinary soirée was attended by 300 distinguished guests and loyal benefactors from around the world, from Houston to Hong Kong, whose generosity will support the renovation of the Great Stables. 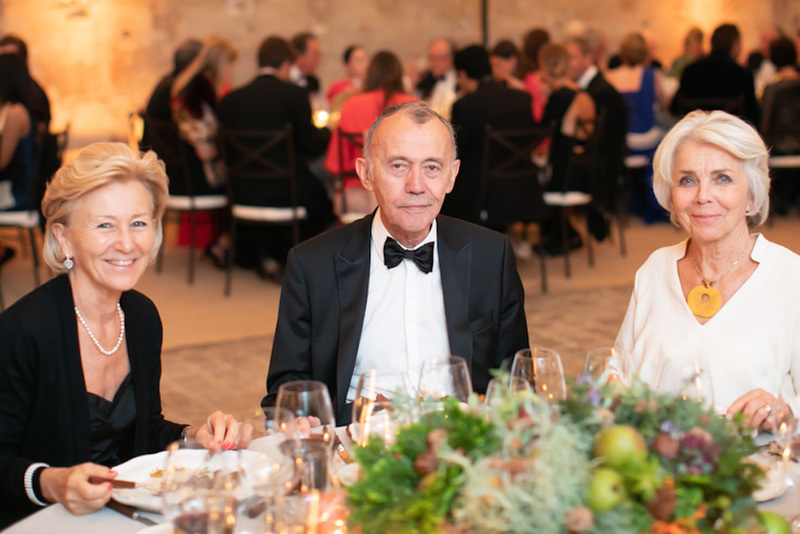 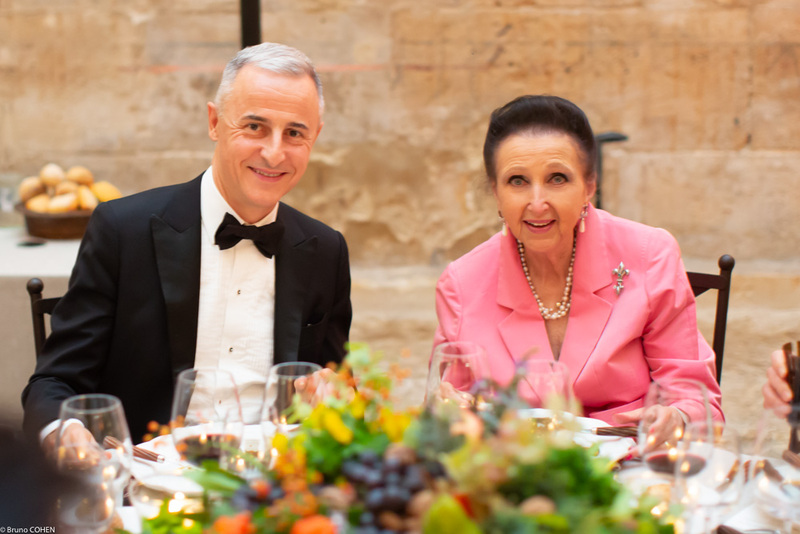 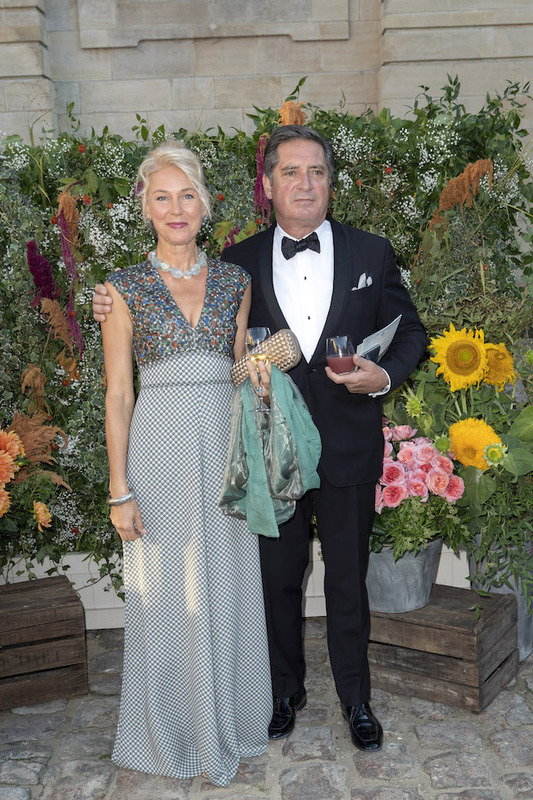 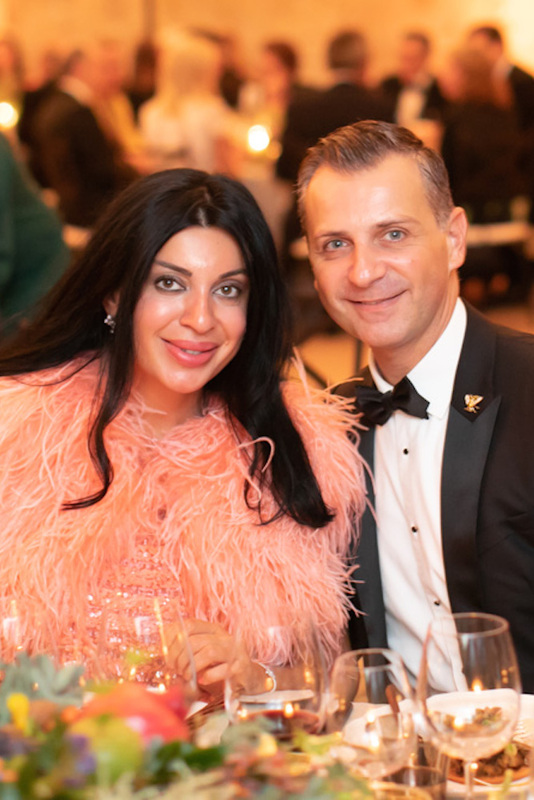 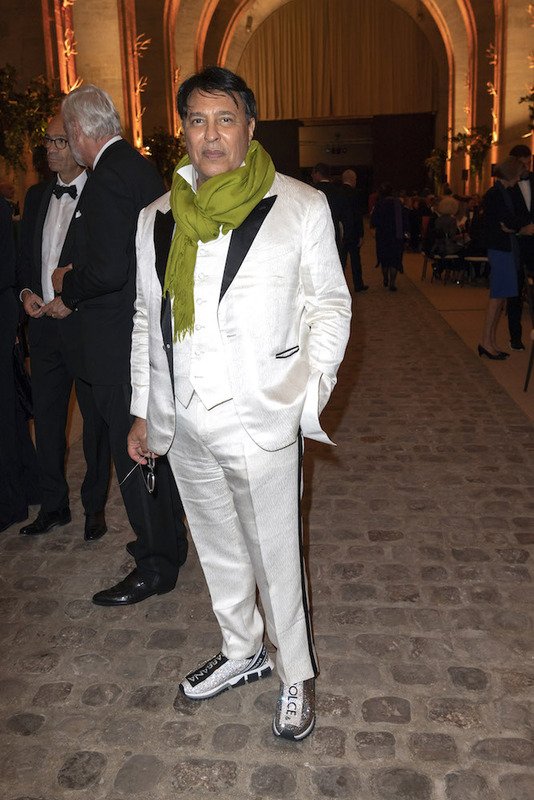 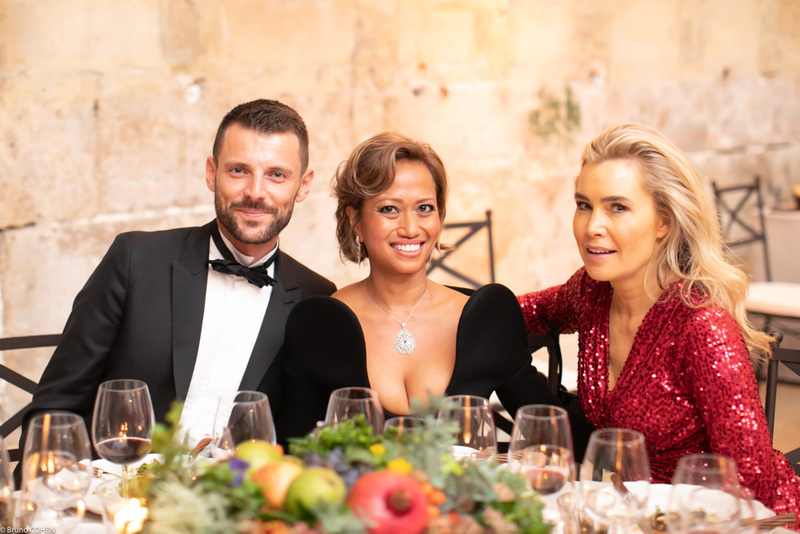 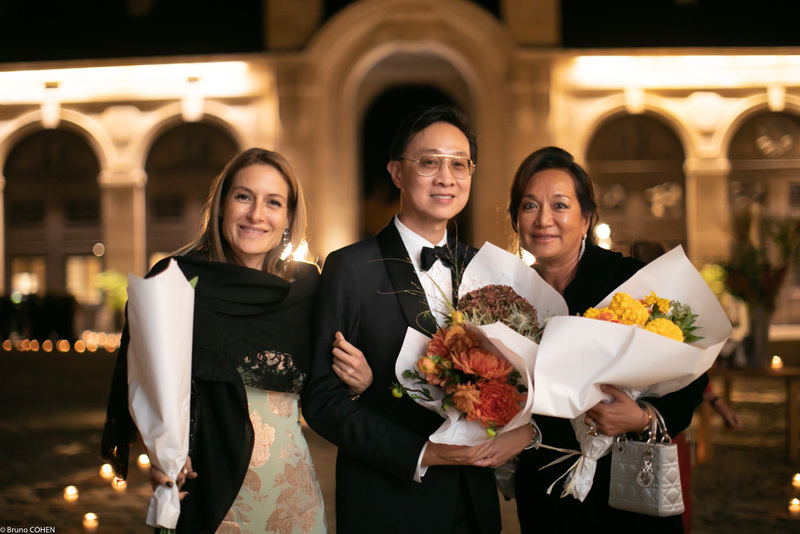 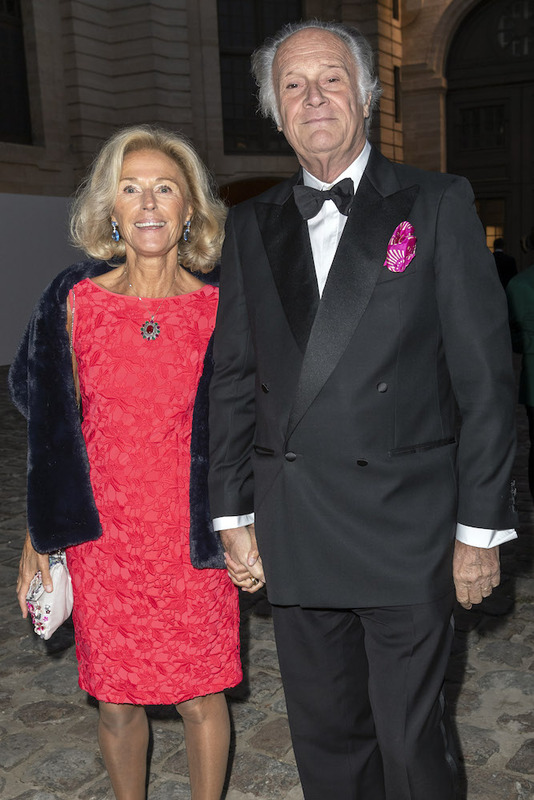 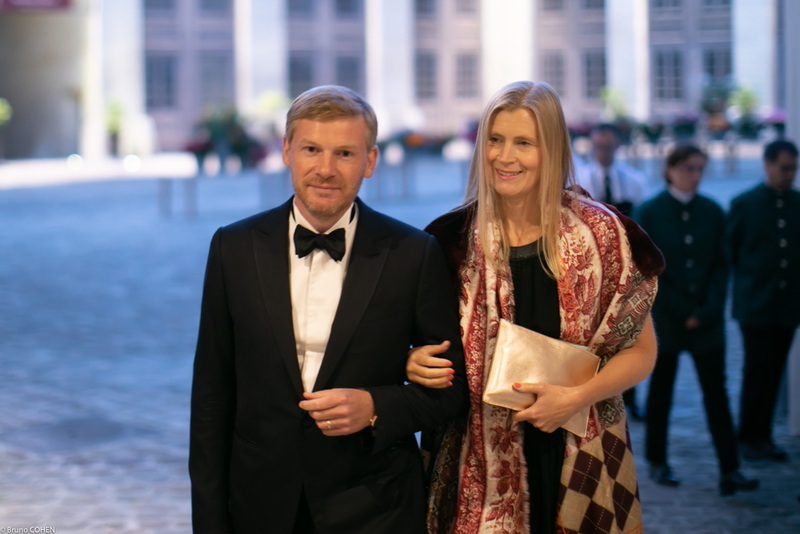 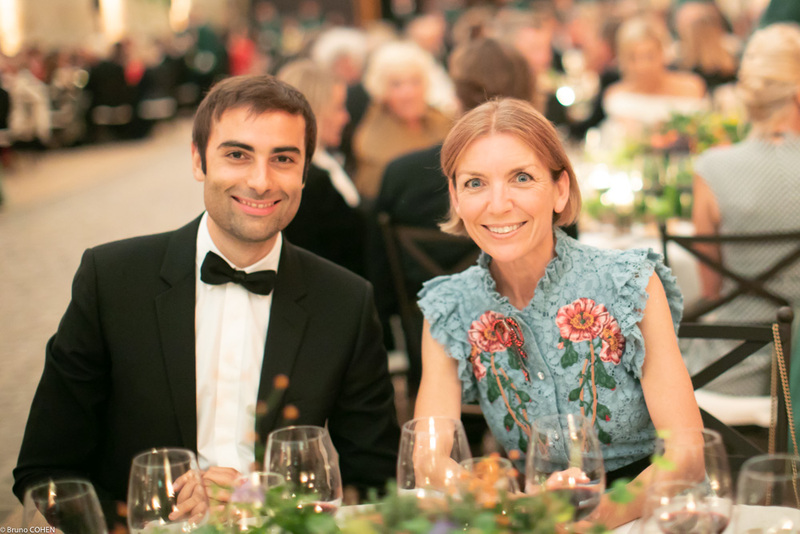 Prestigious brands such as Kering, Boucheron, Brioni, Château Latour, Sotheby’s, and Van Cleef & Arpels also showed their support by inviting prominent guests to their tables. 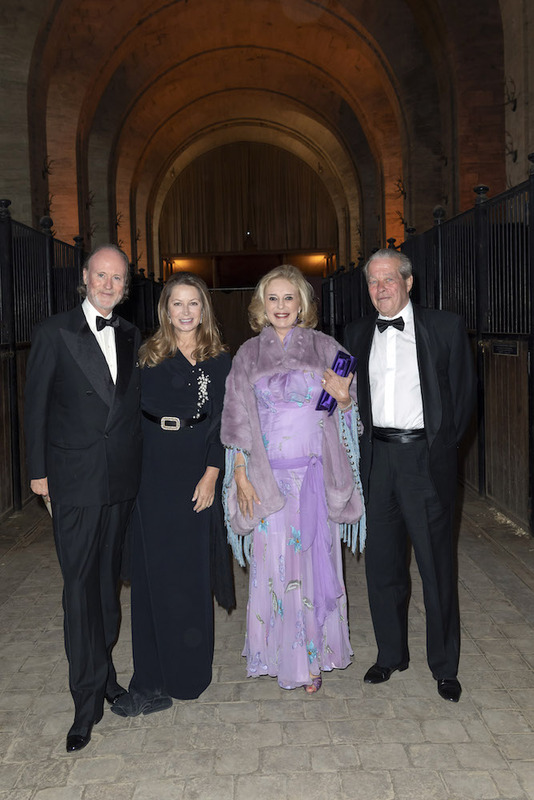 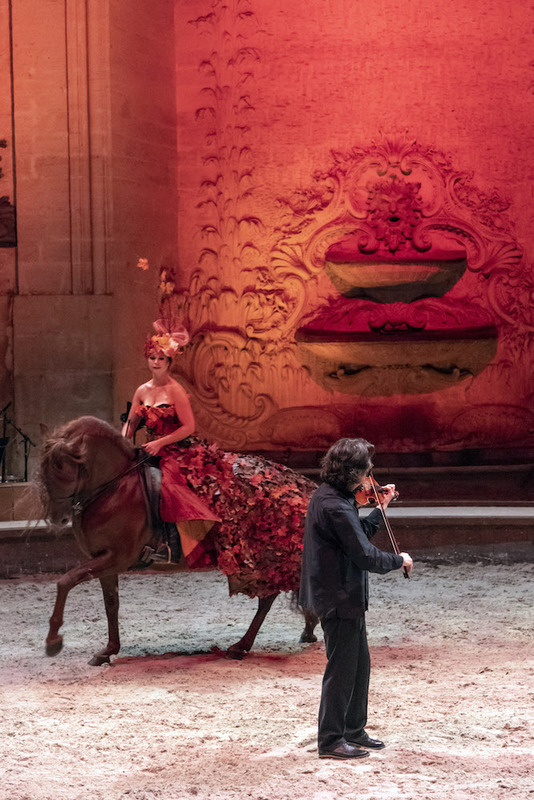 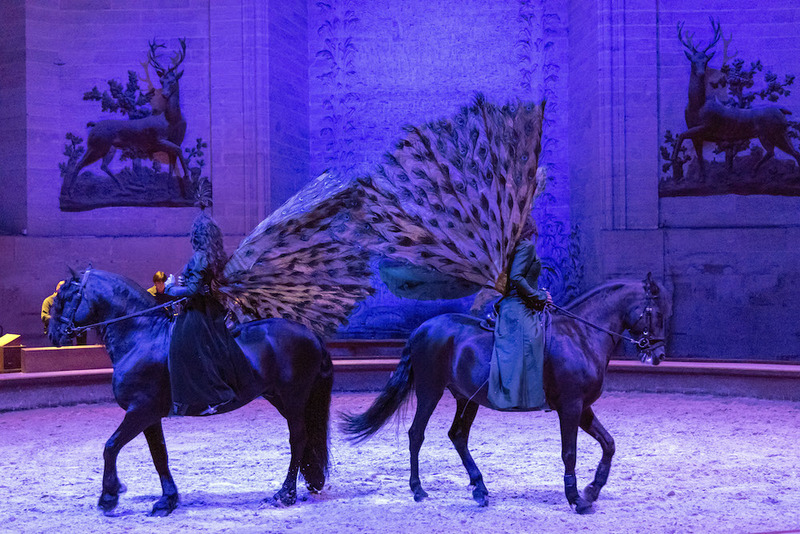 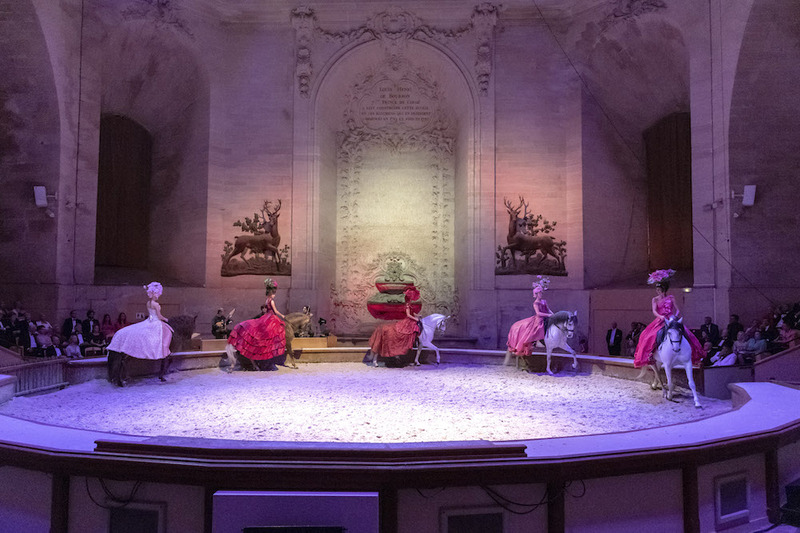 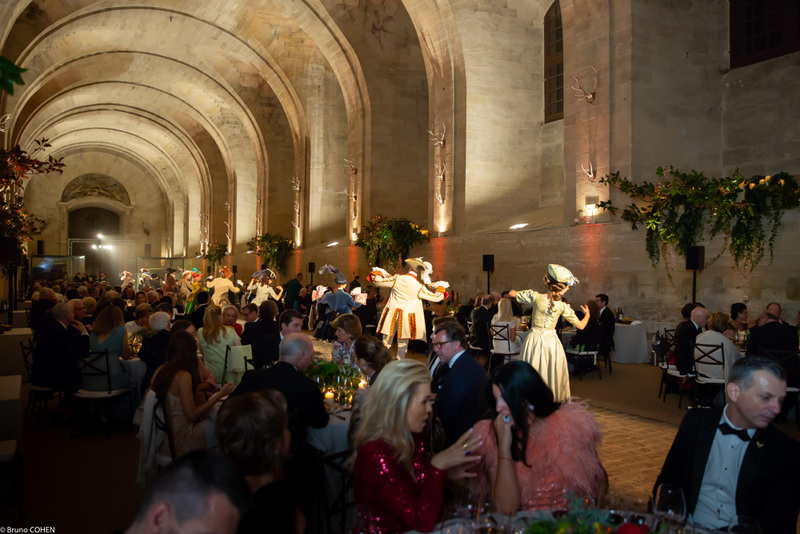 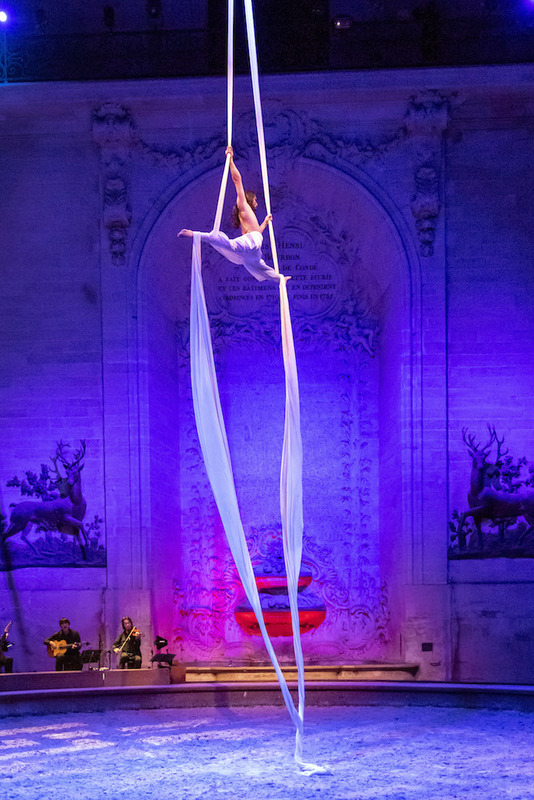 This gala evening demonstrated how the Great Stables are a symbol of Chantilly’s rich and unique equestrian heritage. 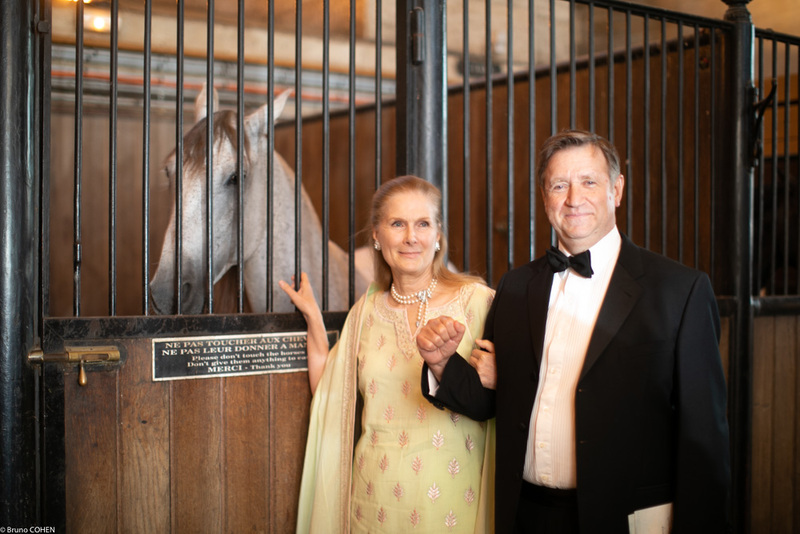 Starting in 1836, horse racing became a cherished tradition with prominent races such as the Prix du Jockey Club and Prix de Diane taking place in the adjacent racecourse and attracting tens of thousands of spectators every year. 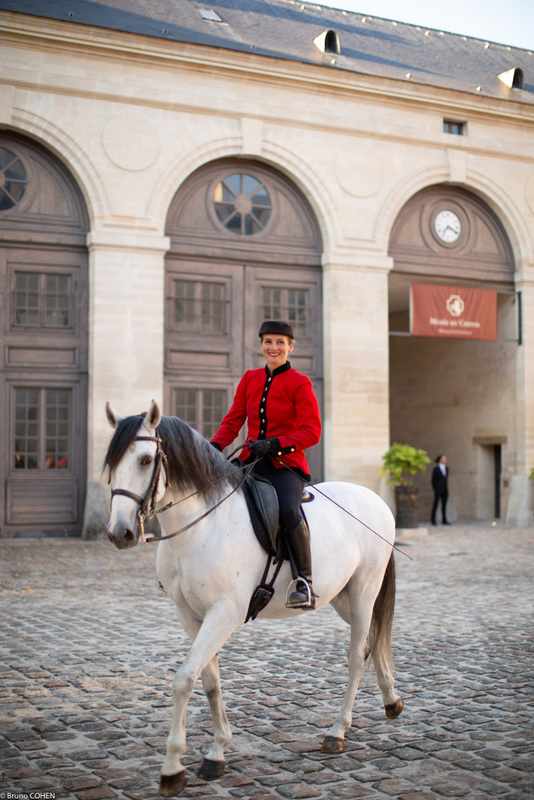 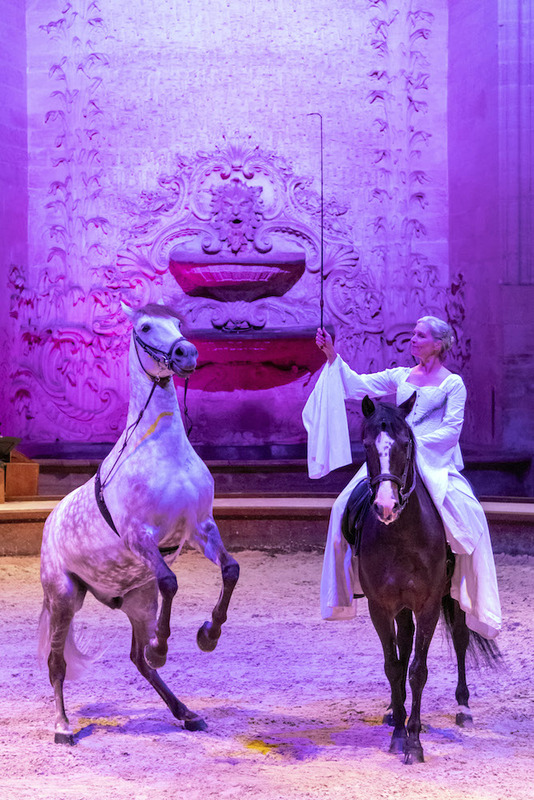 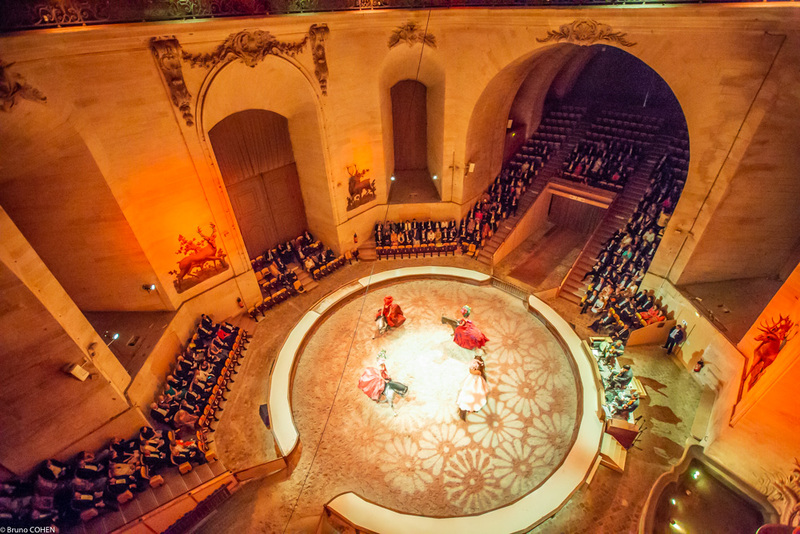 For more than thirty years, the Great Stables’ equestrian troop has been performing shows beneath the dome in front of enthralled crowds, while the Museum of the Horse located in the eastern wing chronicles the fascinating history of this captivating animal. 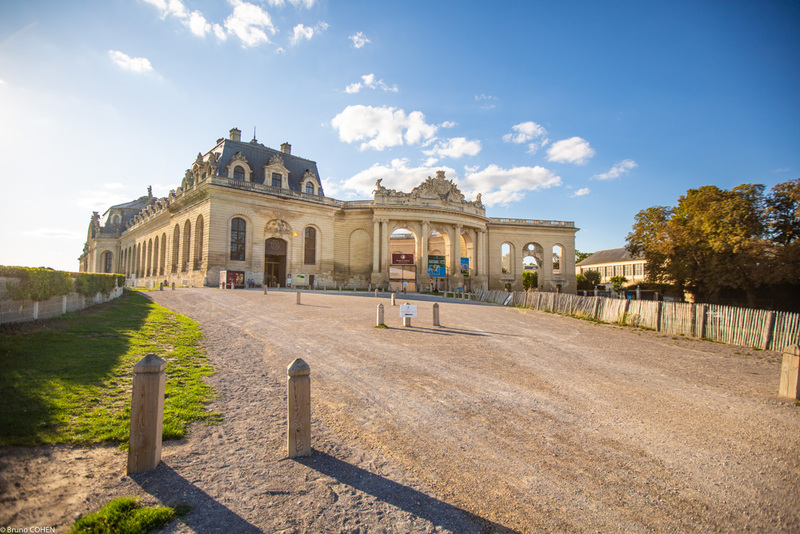 Due to the significance of Chantilly’s equestrian culture, Friends of the Domaine de Chantilly chose to focus its efforts this year on the preservation of the Great Stables, a spectacular and singular structure. 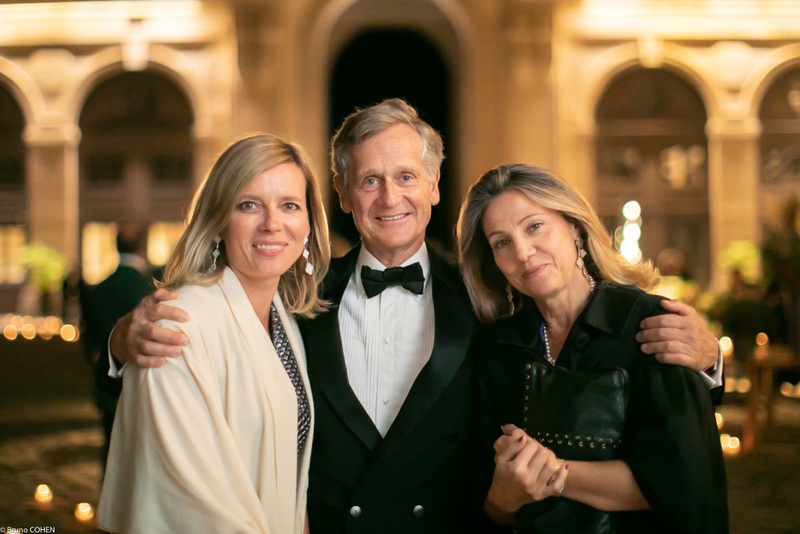 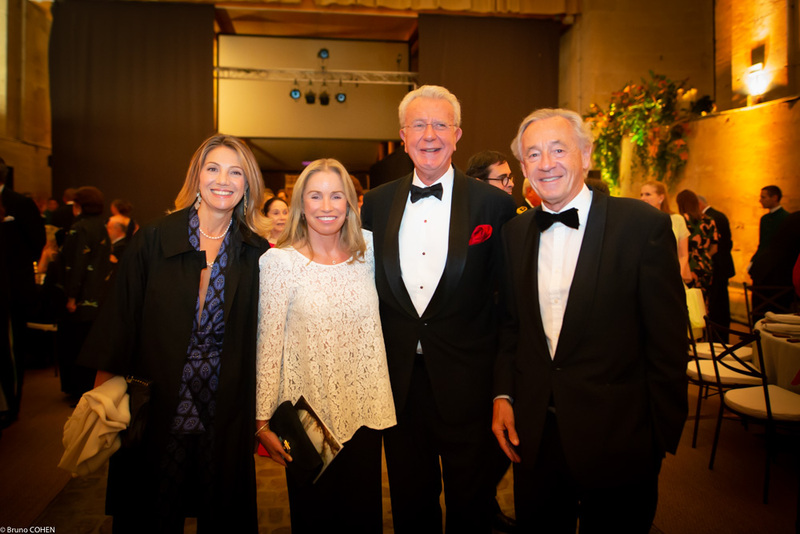 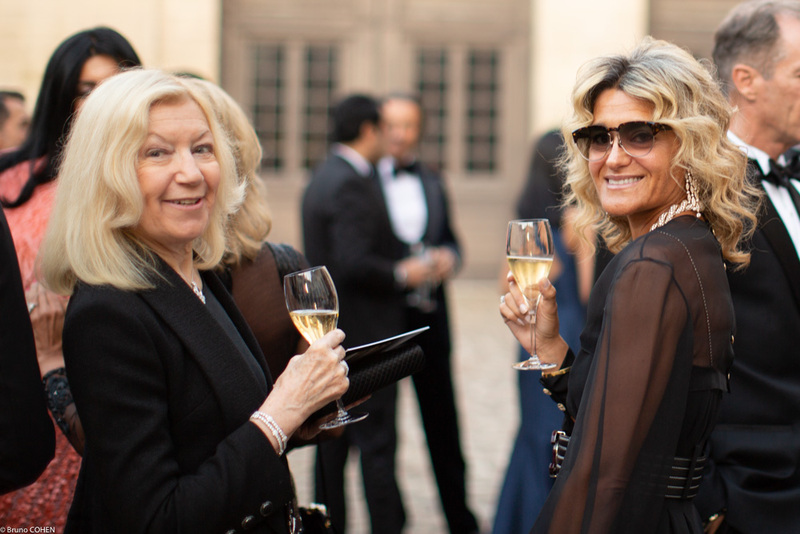 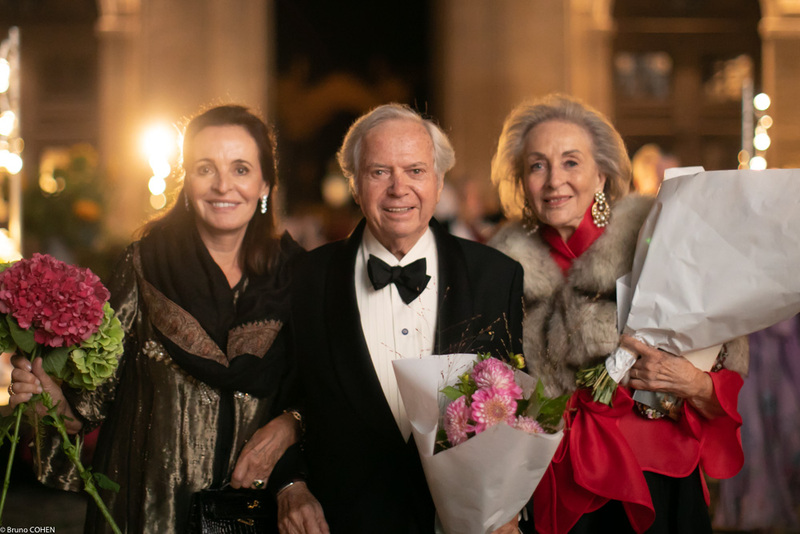 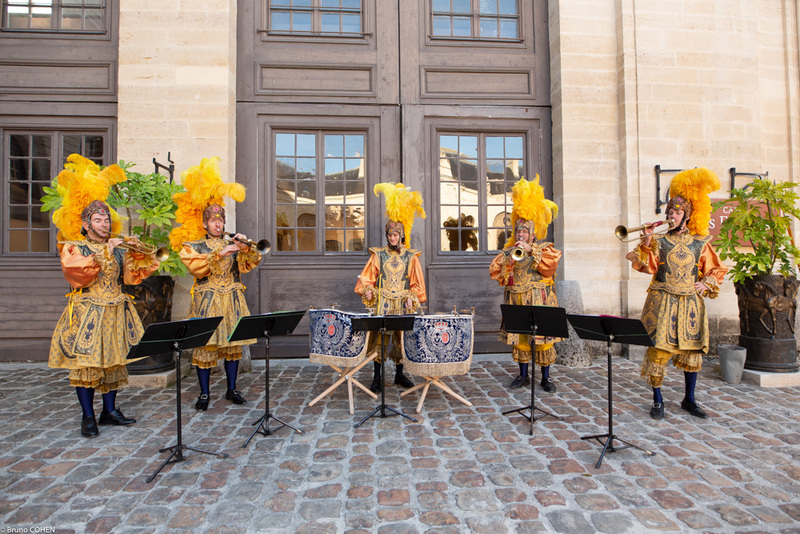 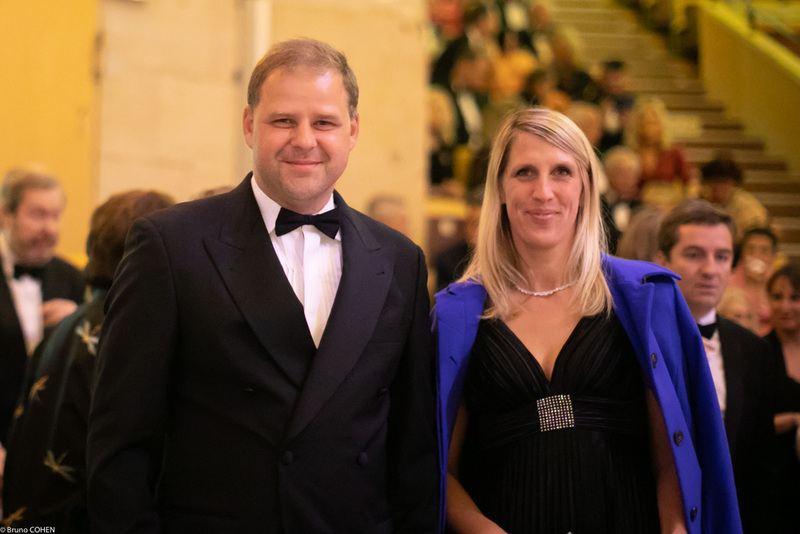 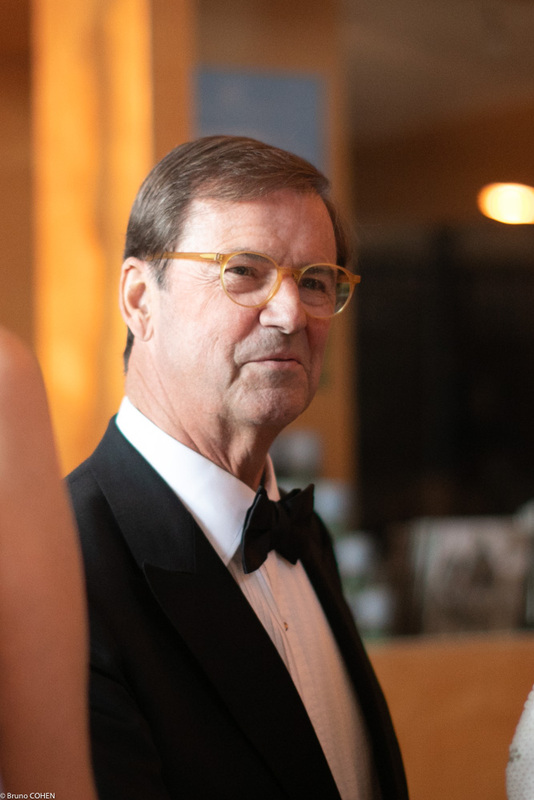 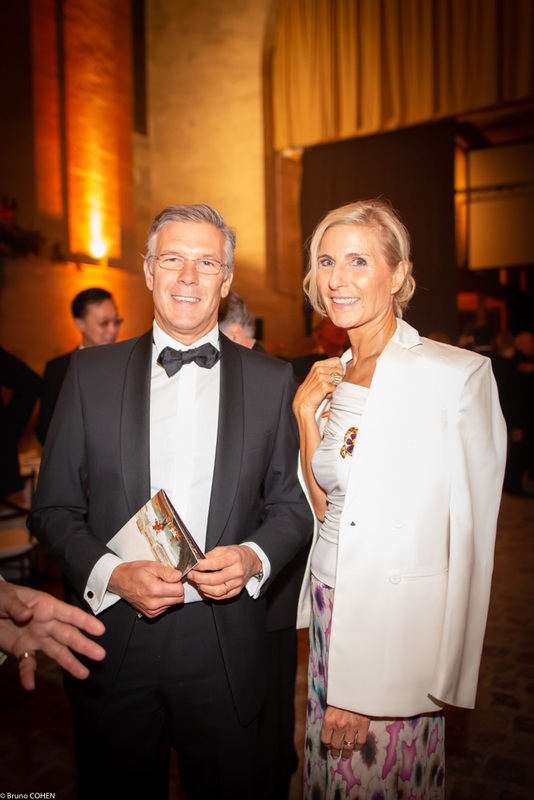 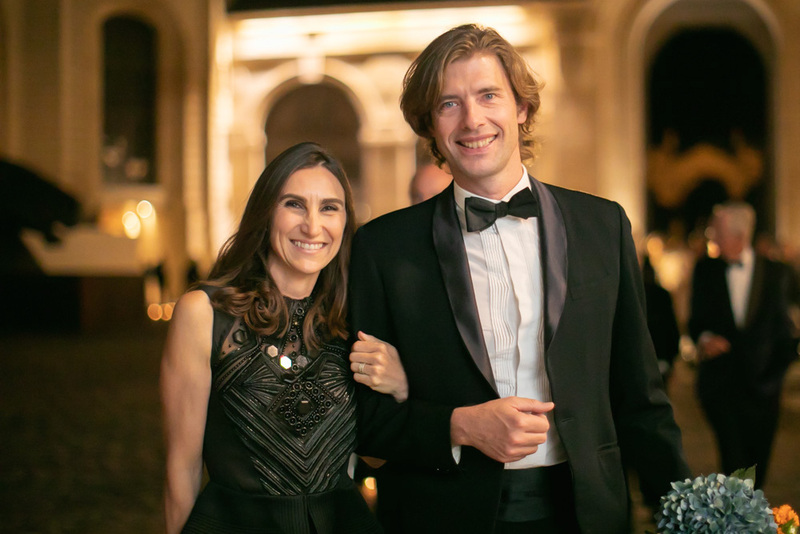 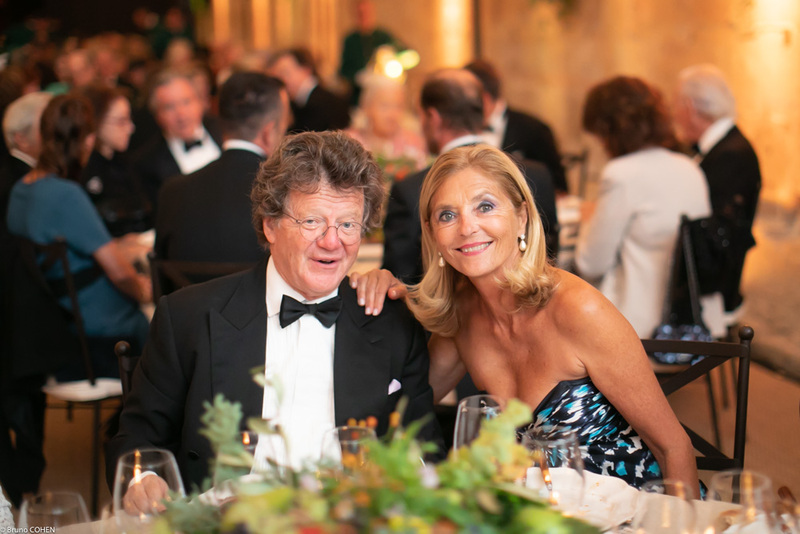 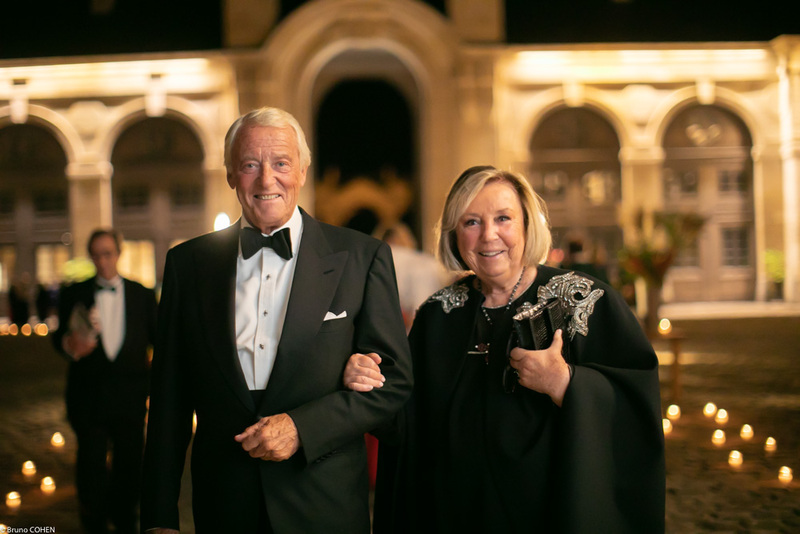 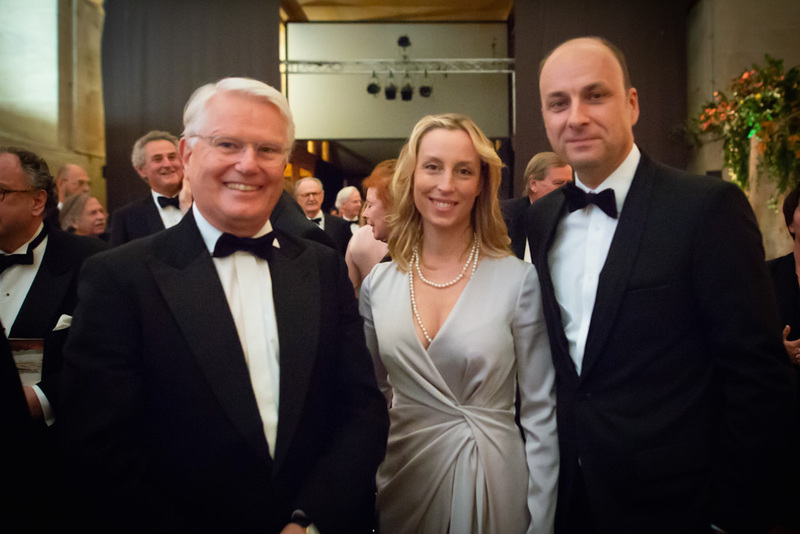 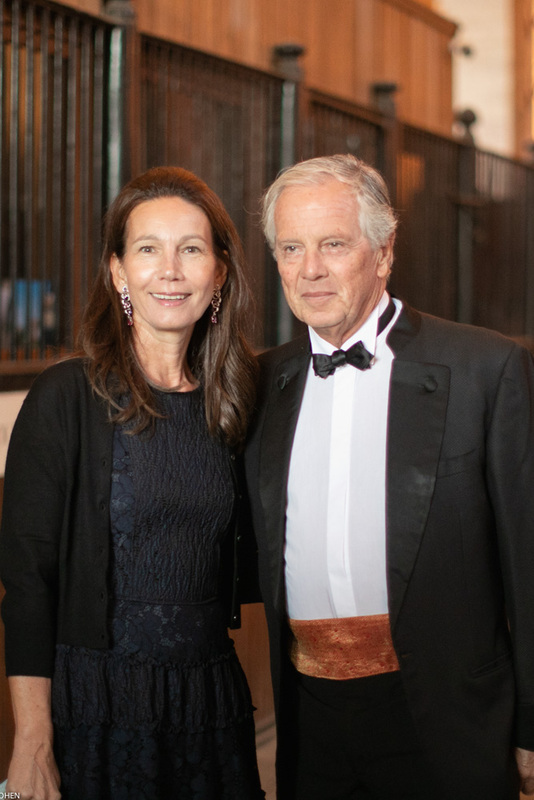 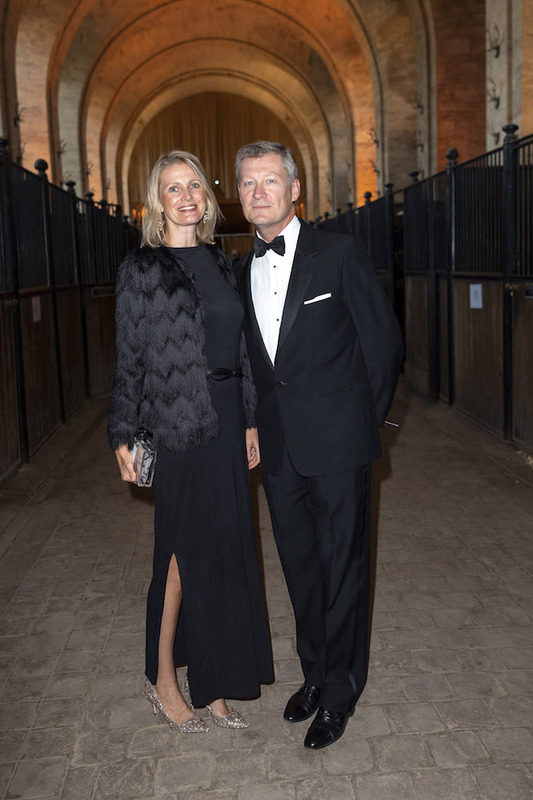 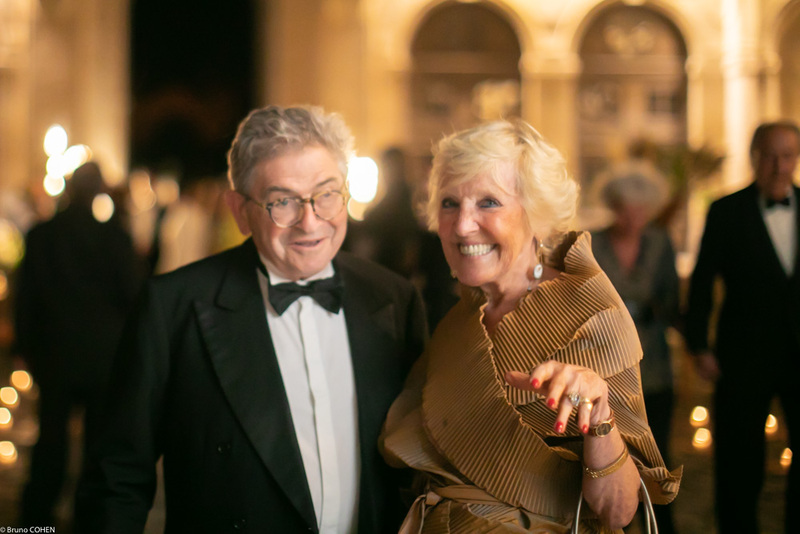 The proceeds raised from this gala event will help fund its renovation, ensuring that Chantilly remains France’s “Capital of the Horse.” We would like to express our gratitude to all those who generously and enthusiastically supported this initiative. 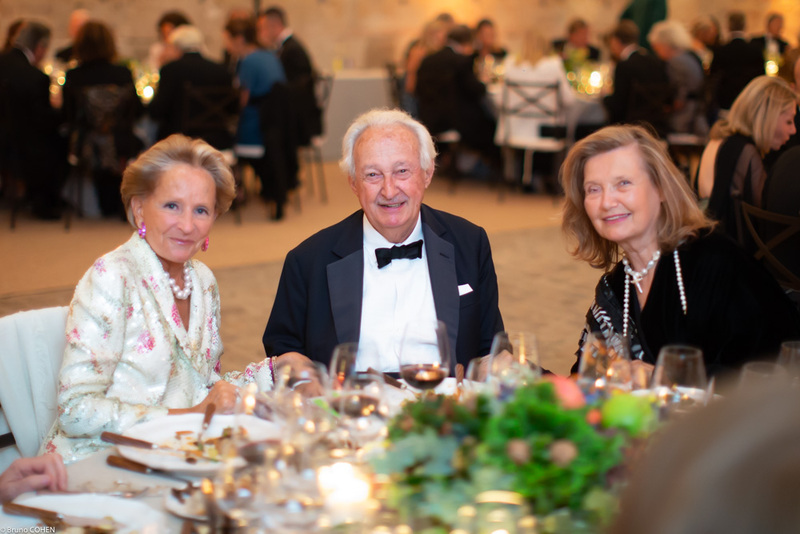 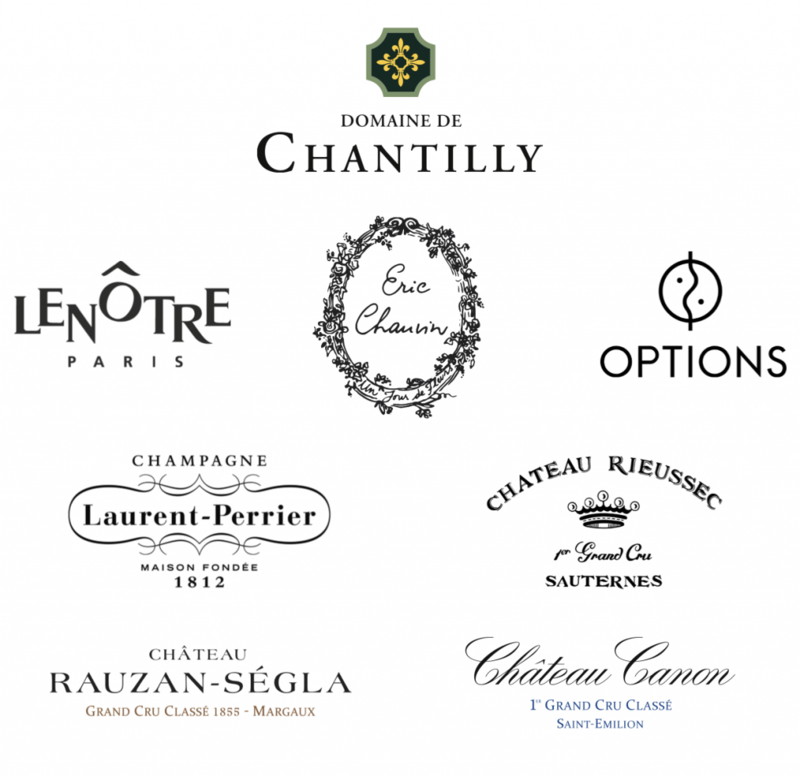 Friends of the Domaine de Chantilly would also like to acknowledge the many partners and sponsors whose tremendous contributions made possible this special evening.